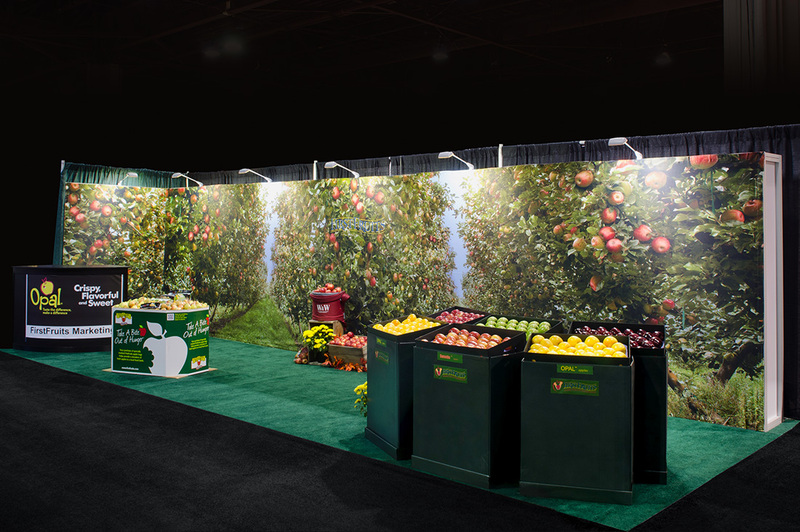 Strong contrast with color on the backwall is very engaging. 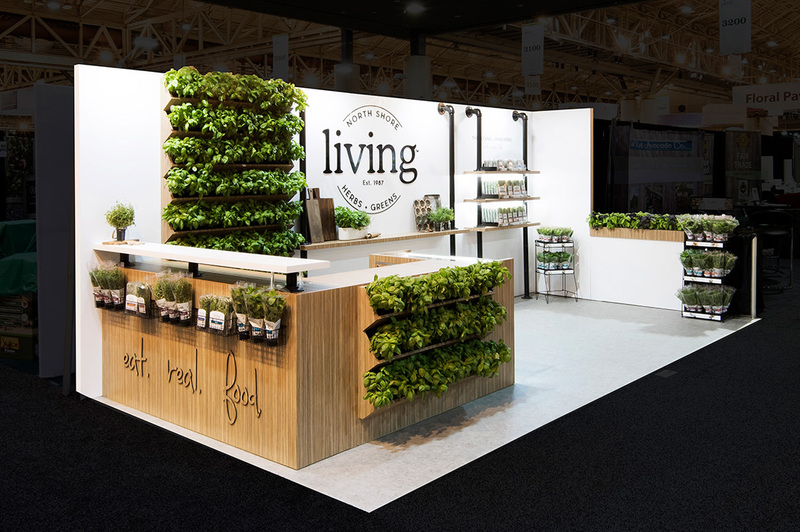 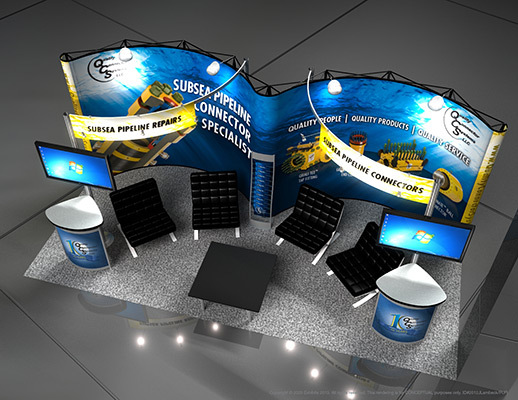 Curved set pieces provide a strong aesthetic to the backwall. 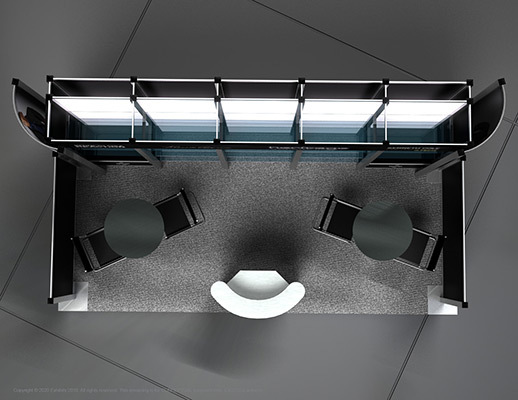 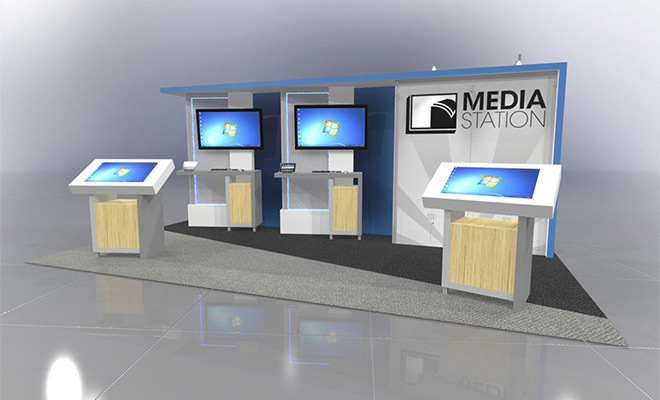 Open and airy environment with simple stations to provide a direct means of access to information. 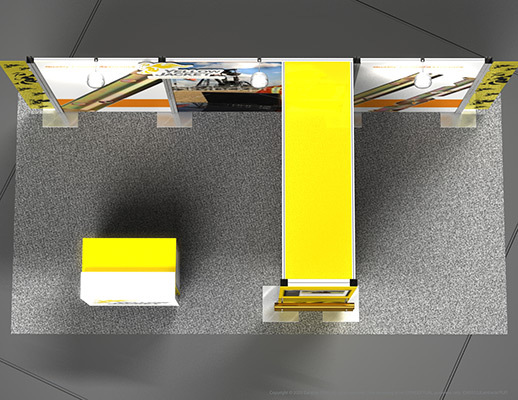 Very easily accessible. 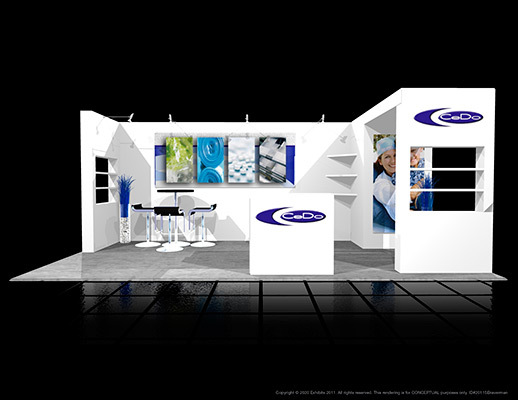 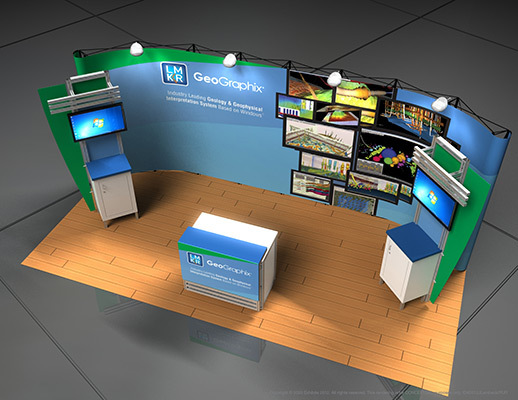 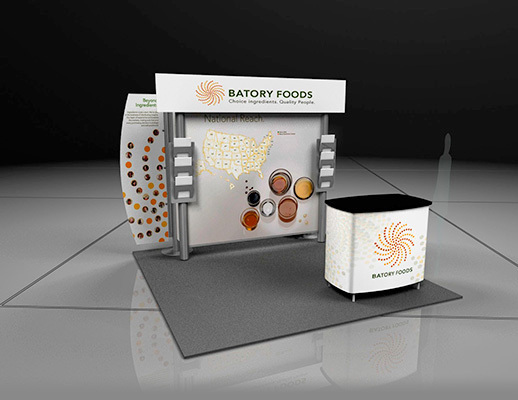 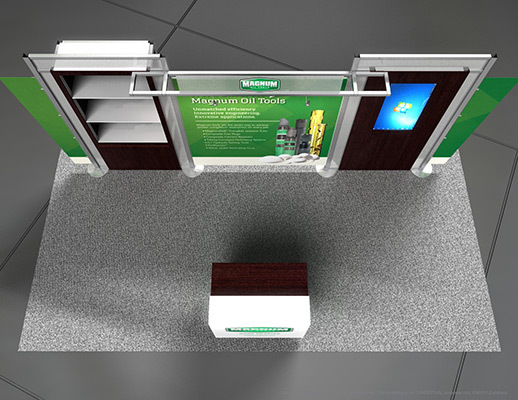 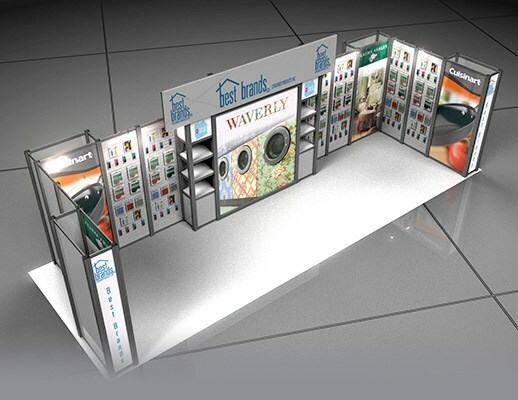 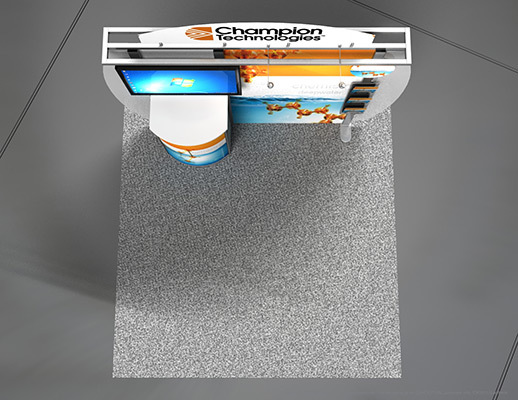 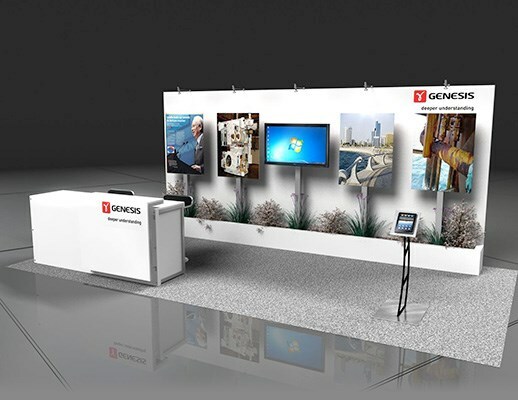 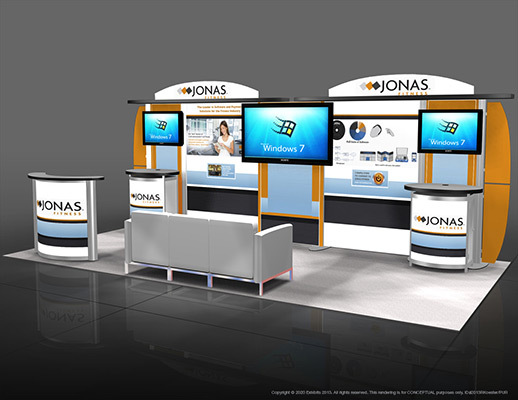 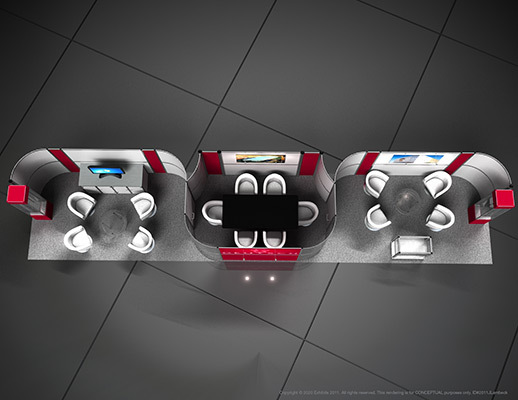 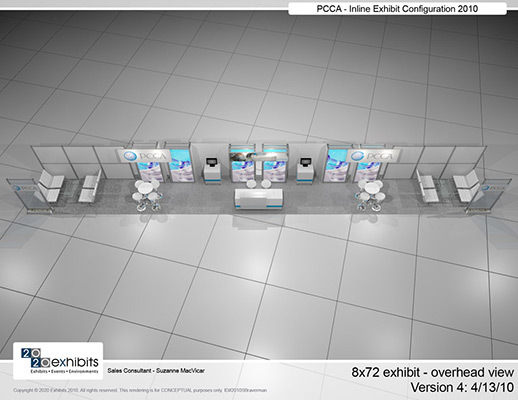 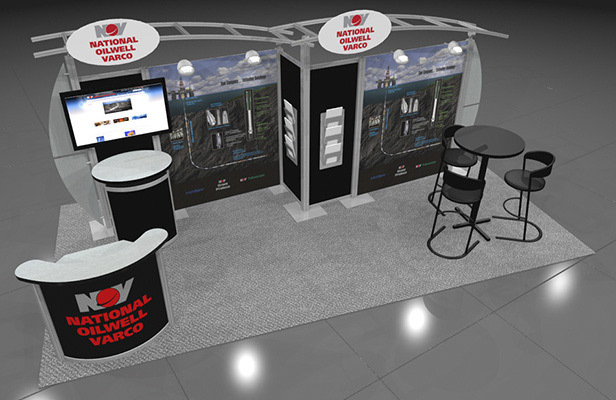 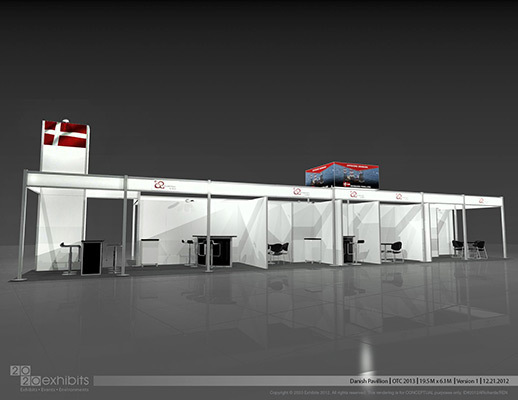 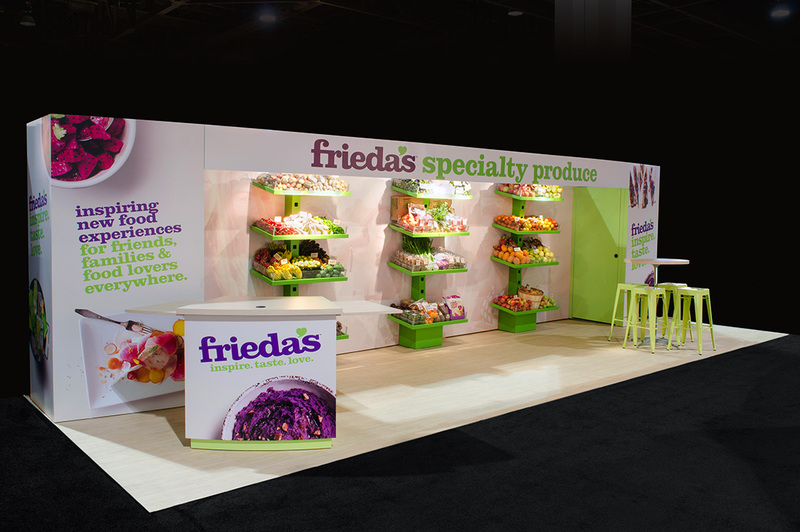 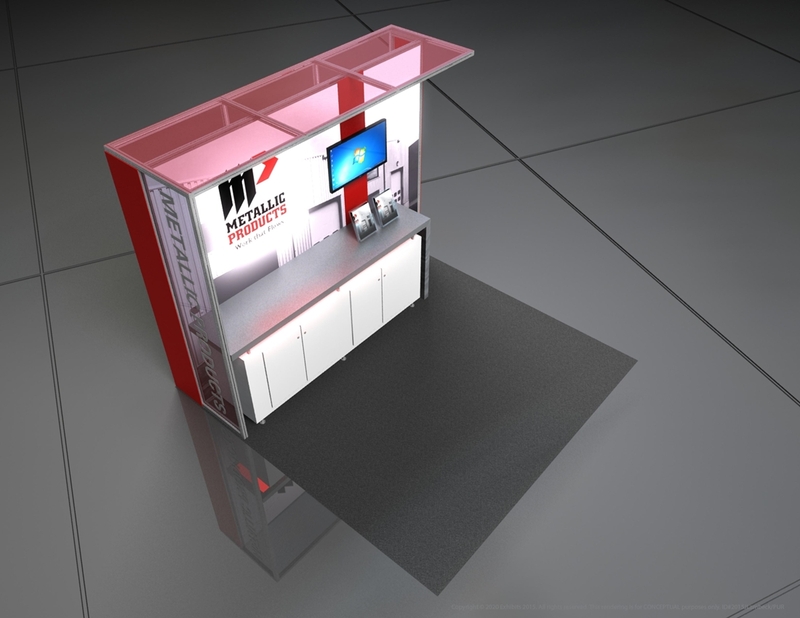 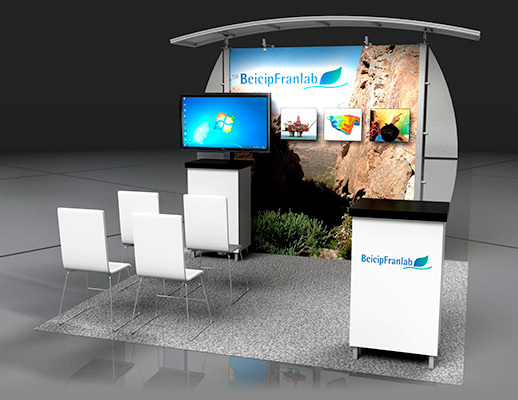 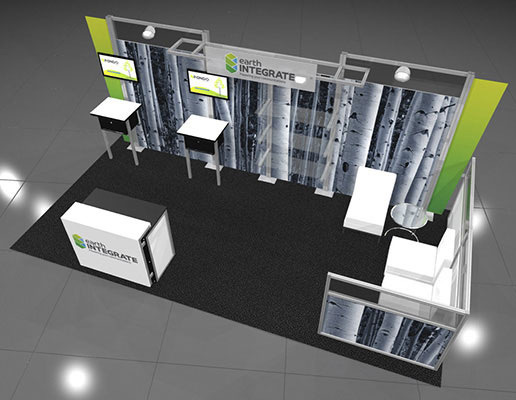 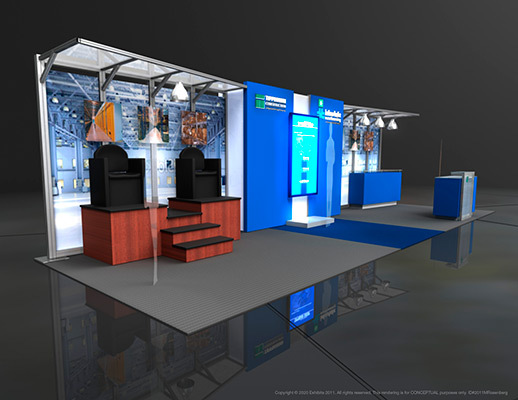 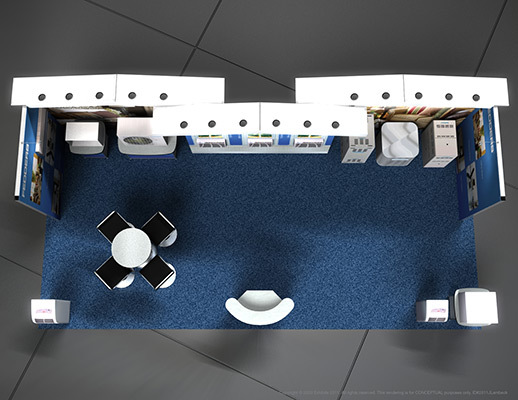 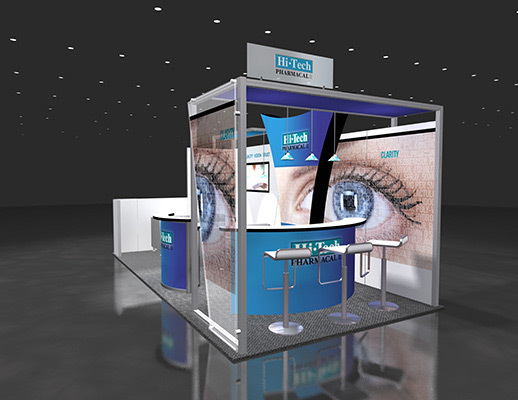 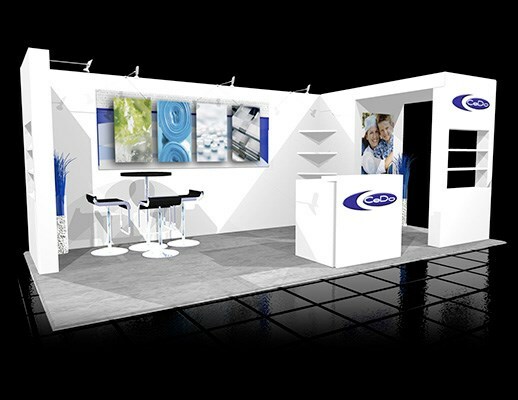 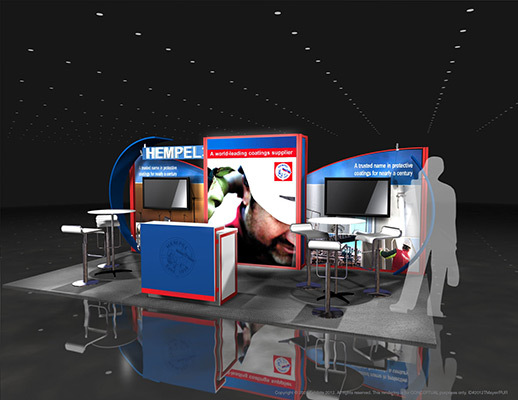 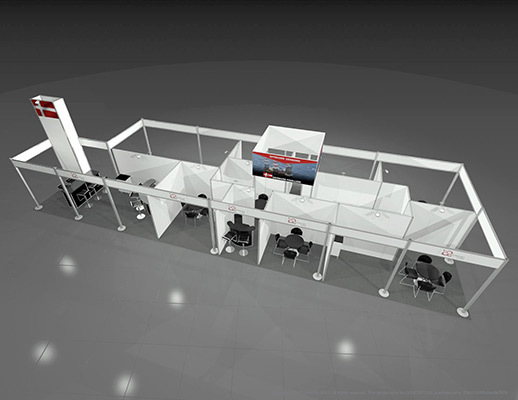 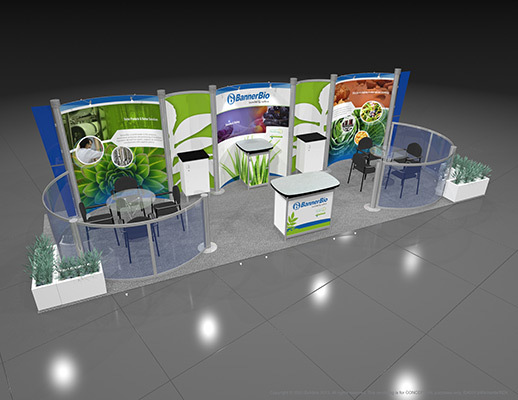 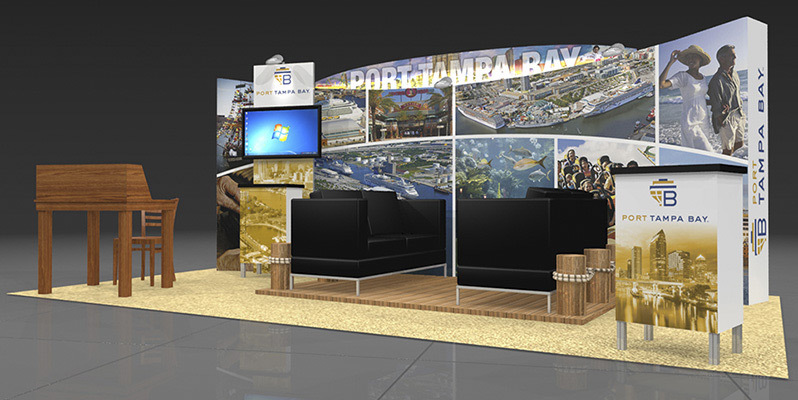 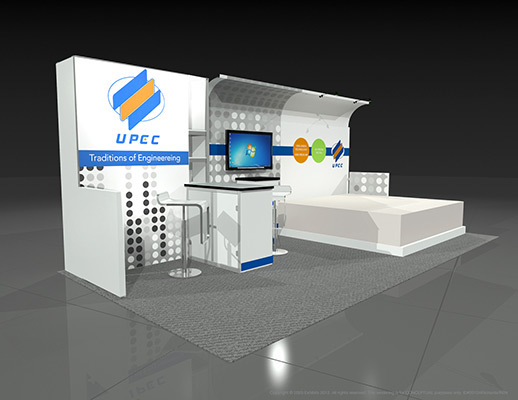 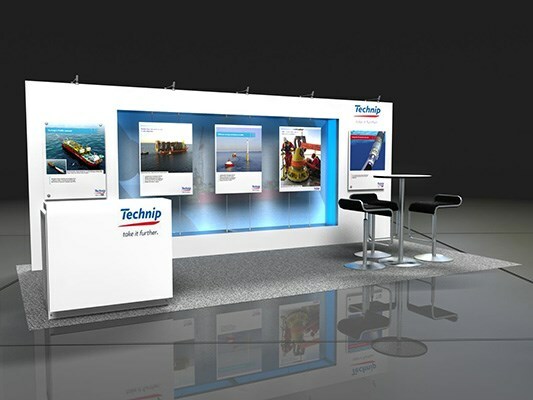 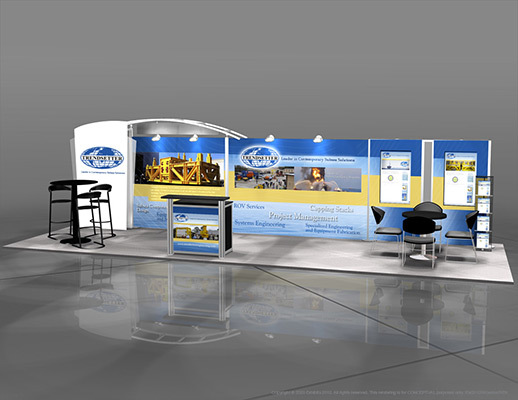 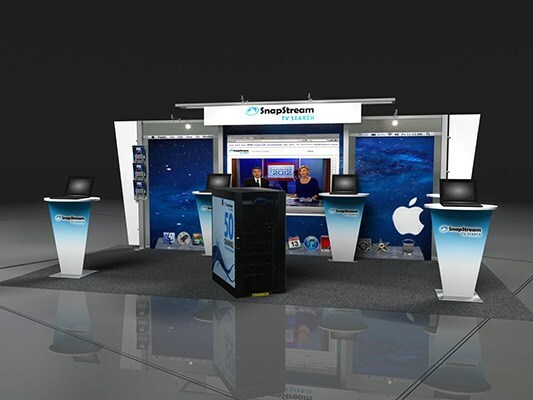 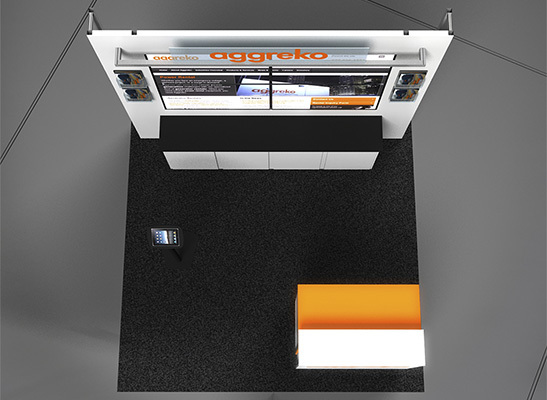 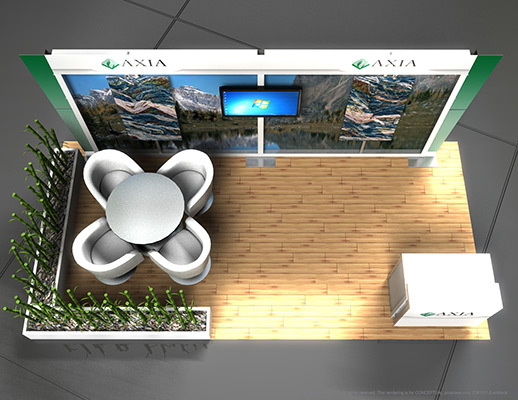 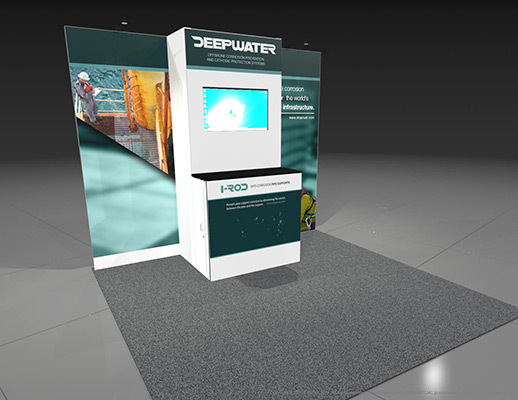 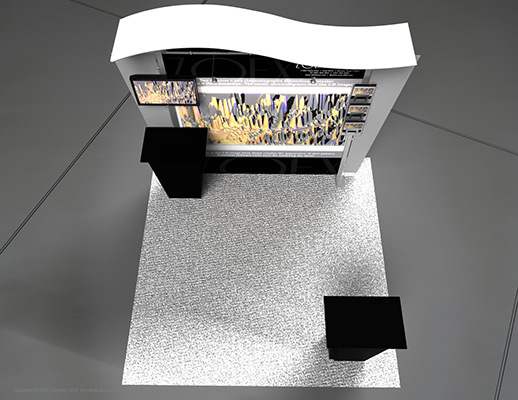 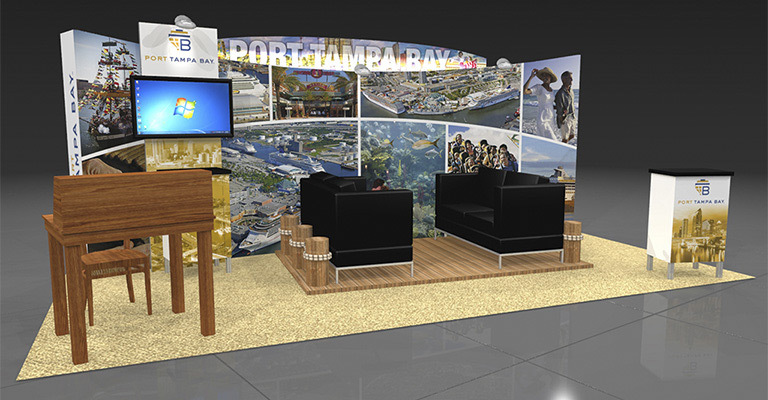 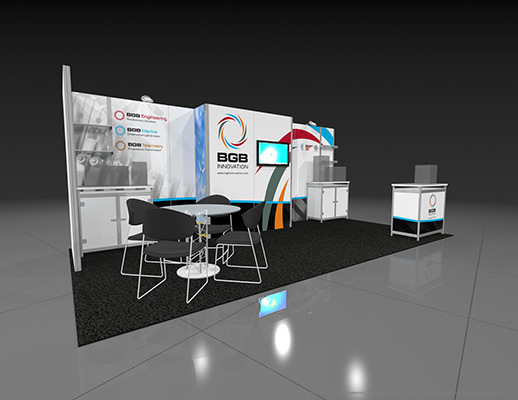 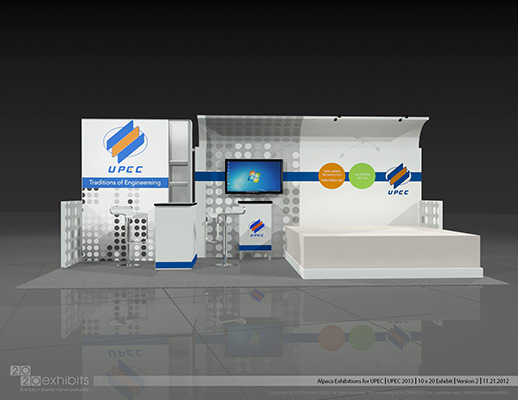 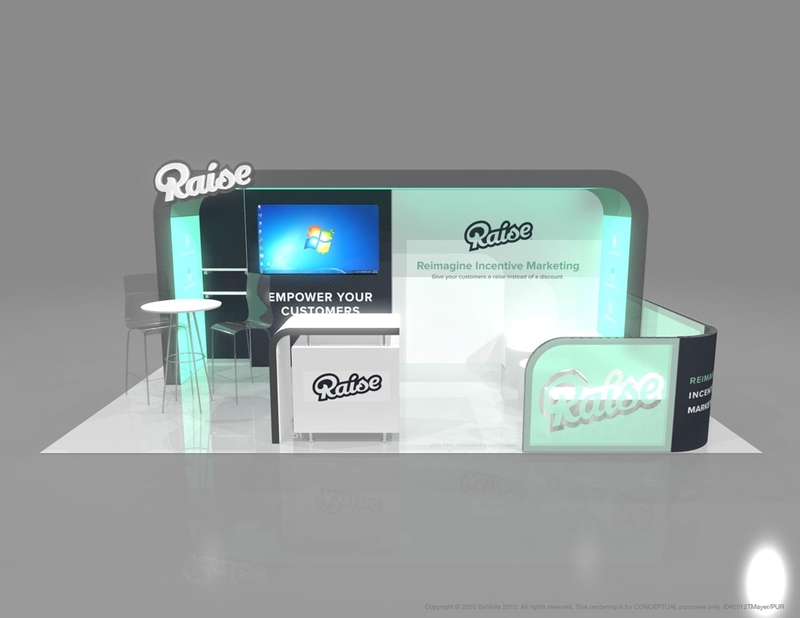 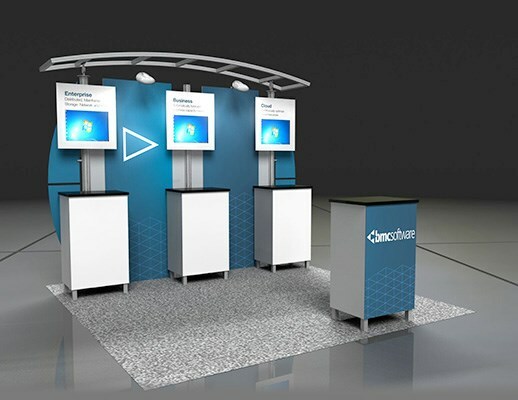 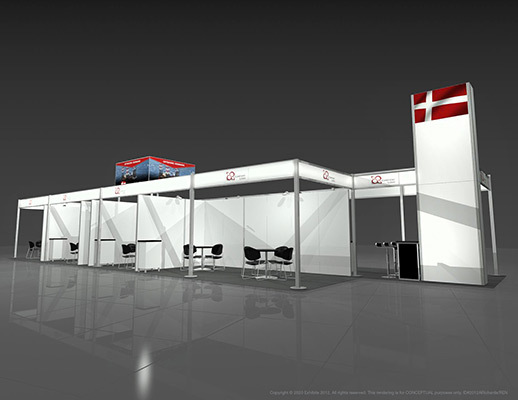 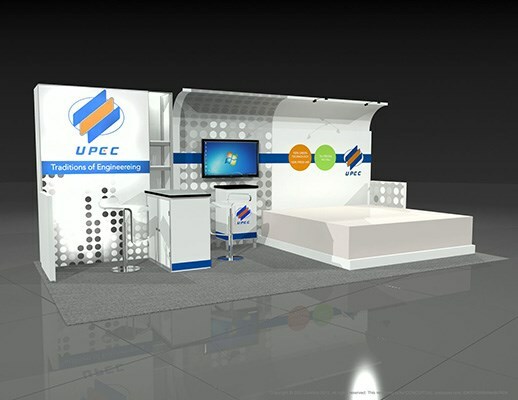 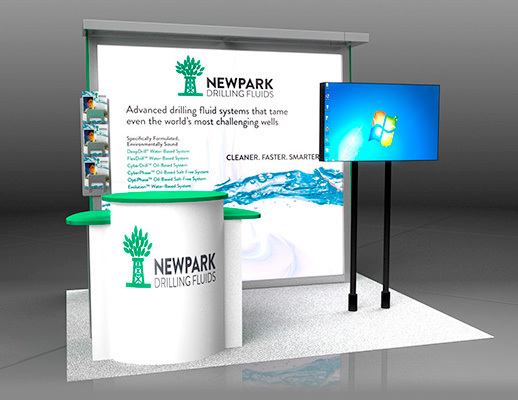 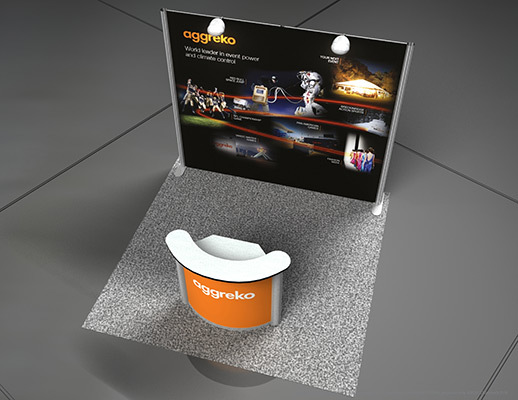 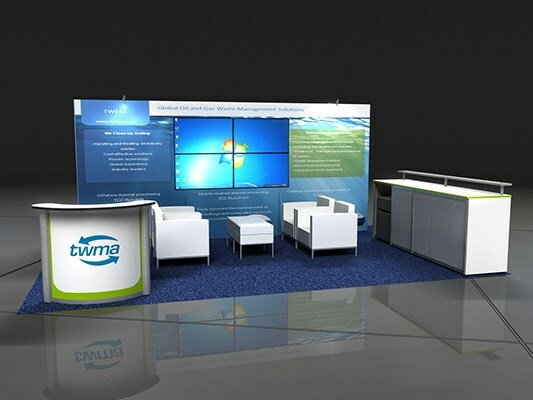 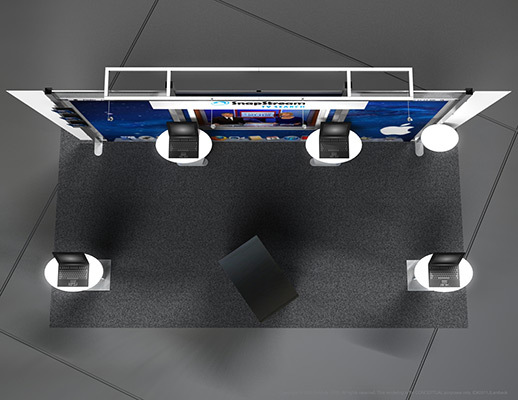 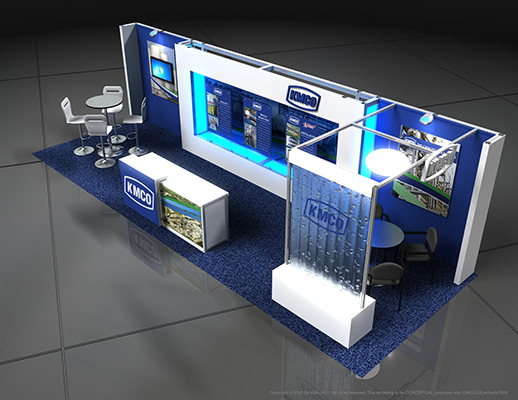 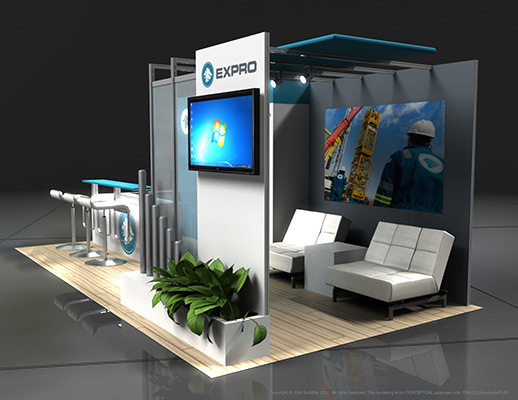 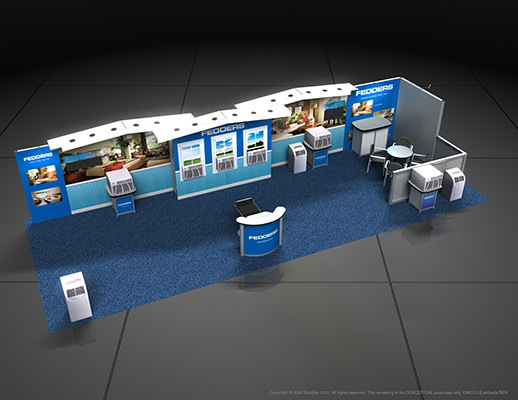 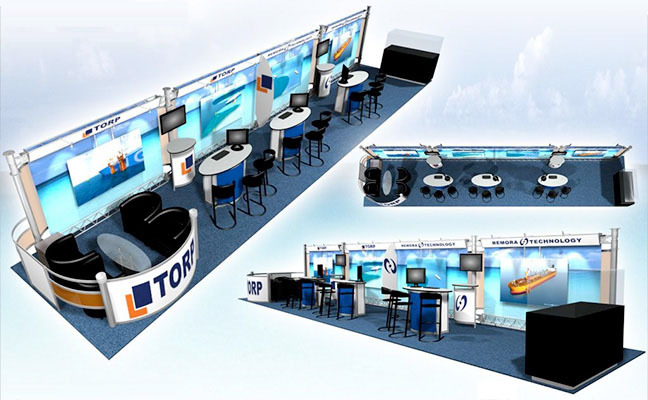 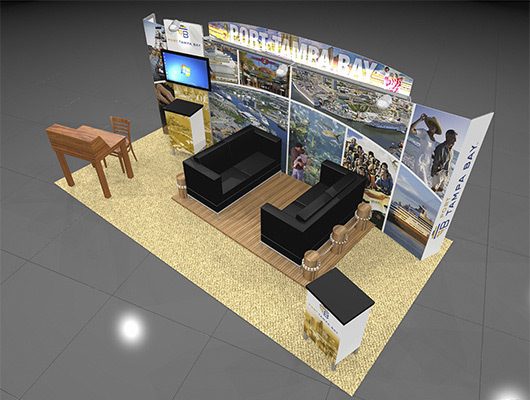 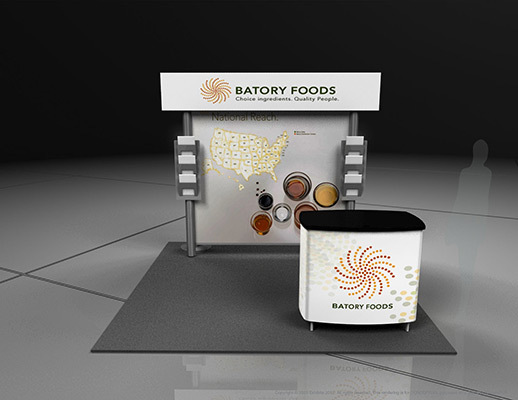 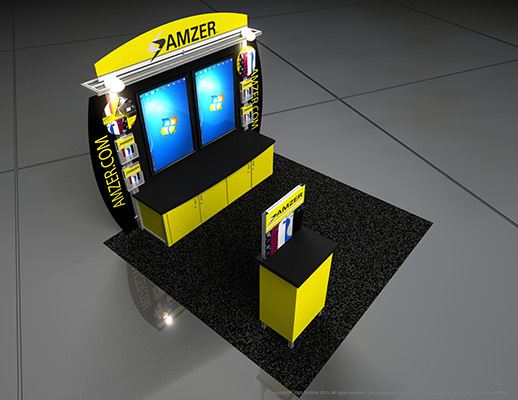 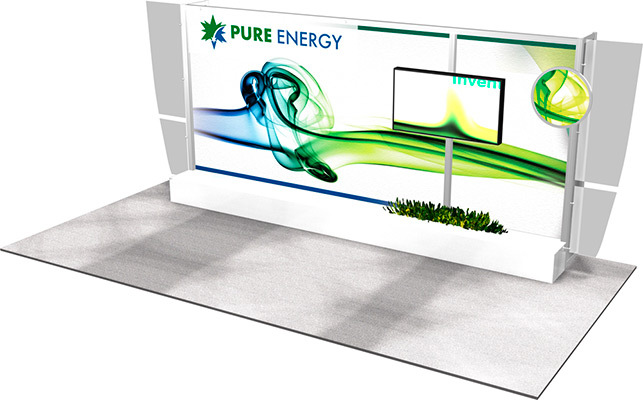 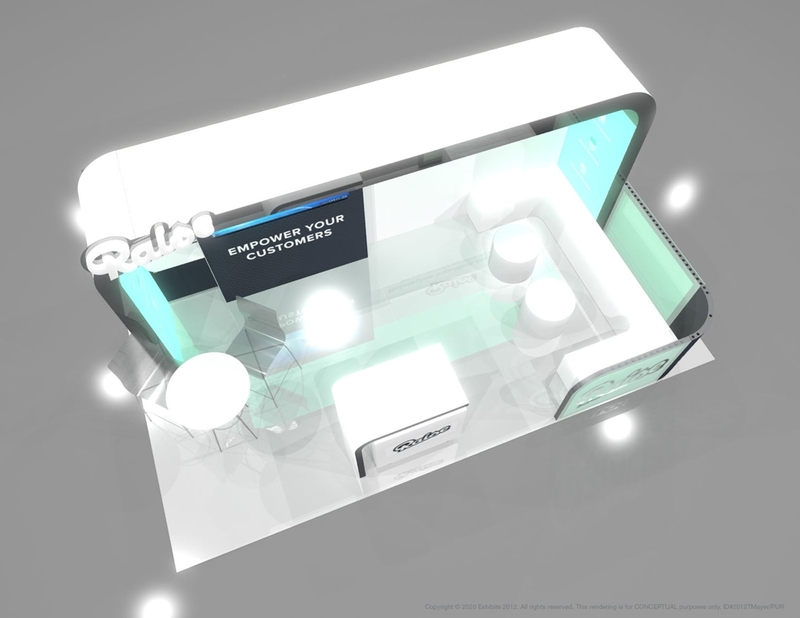 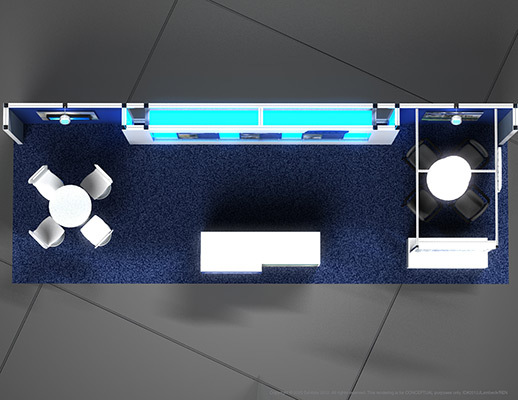 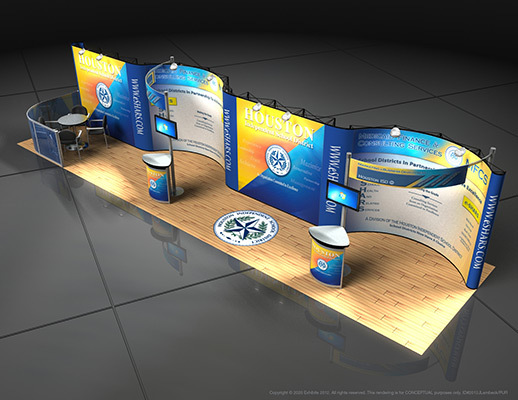 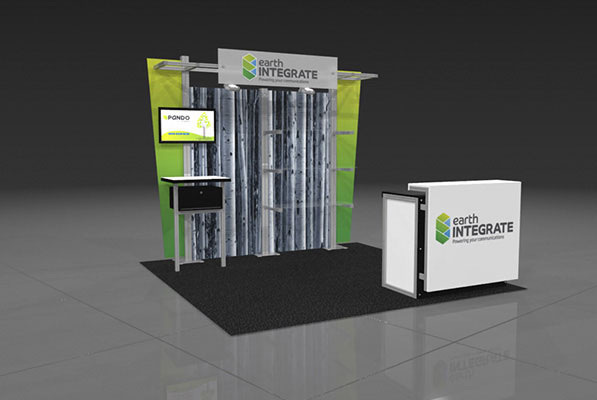 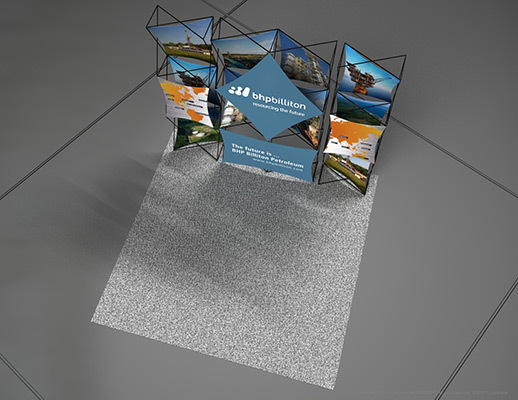 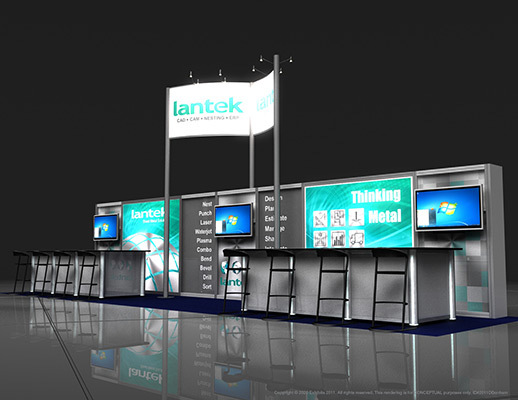 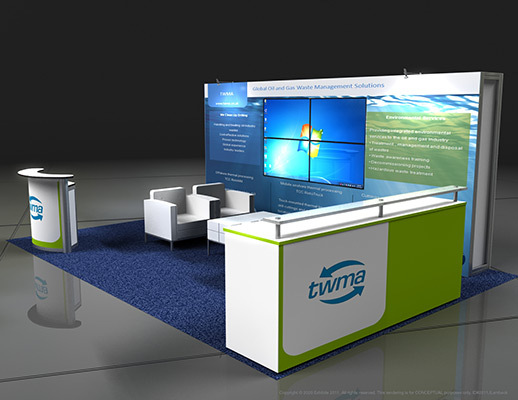 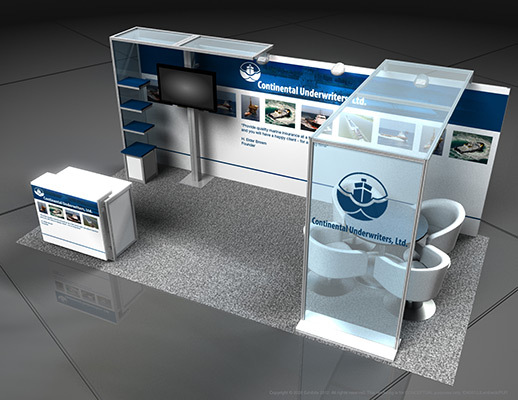 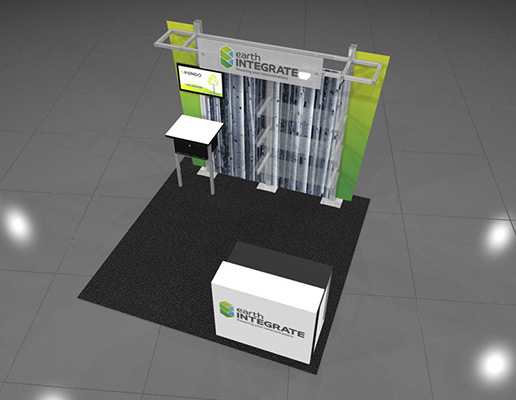 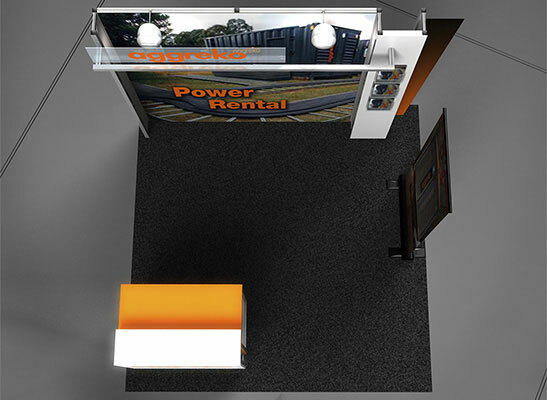 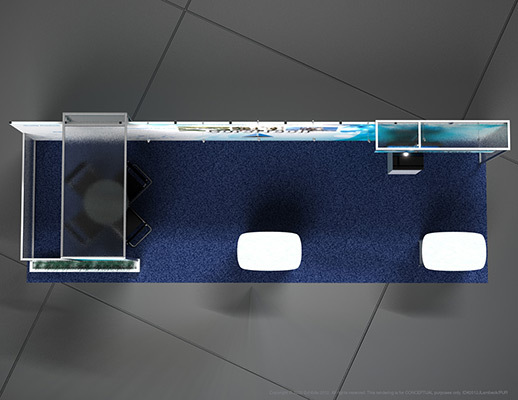 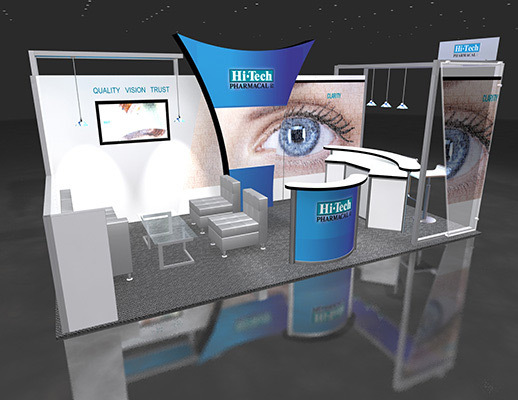 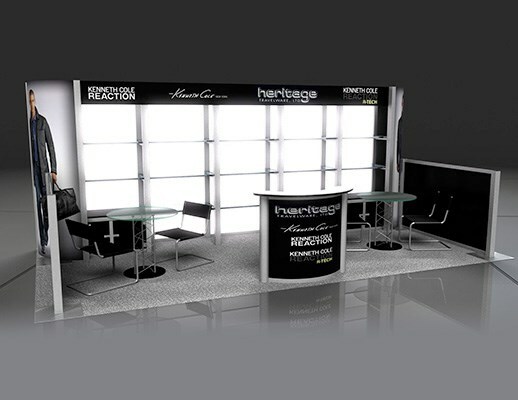 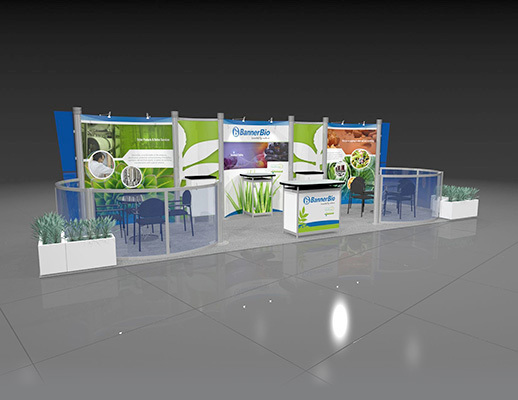 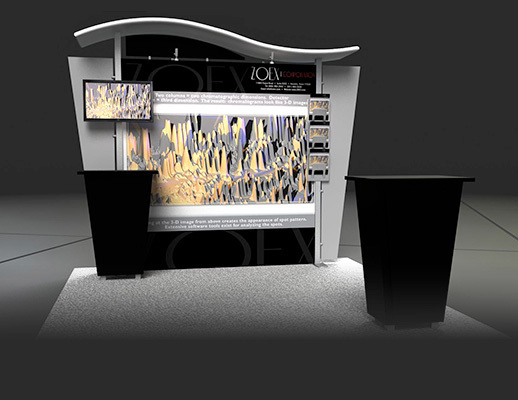 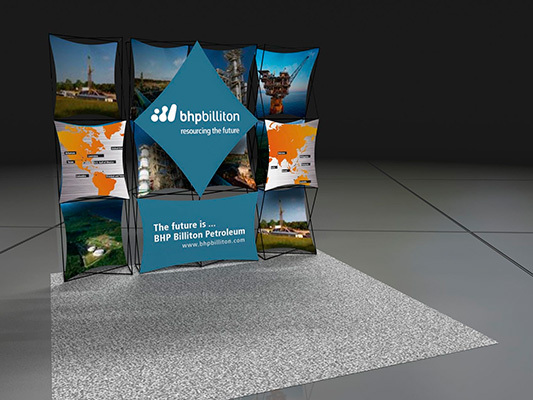 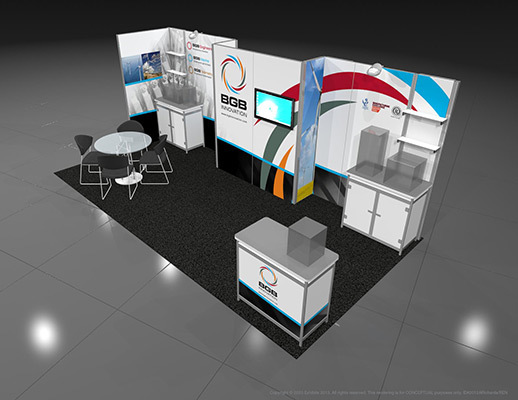 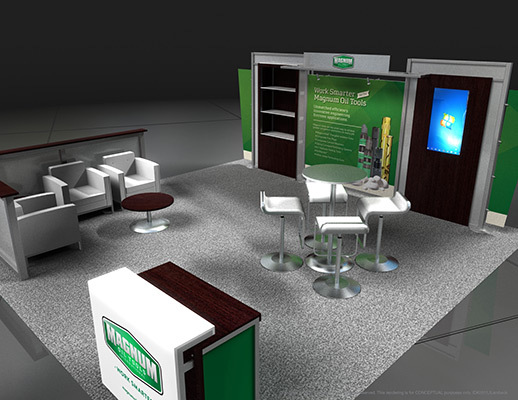 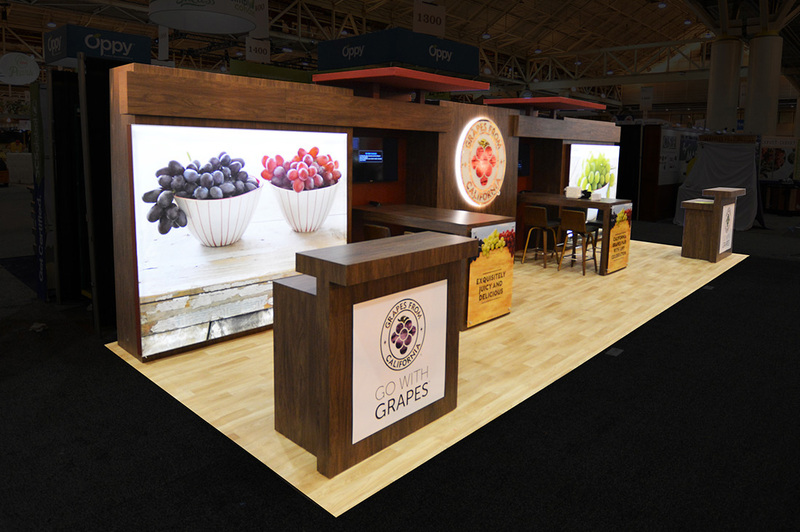 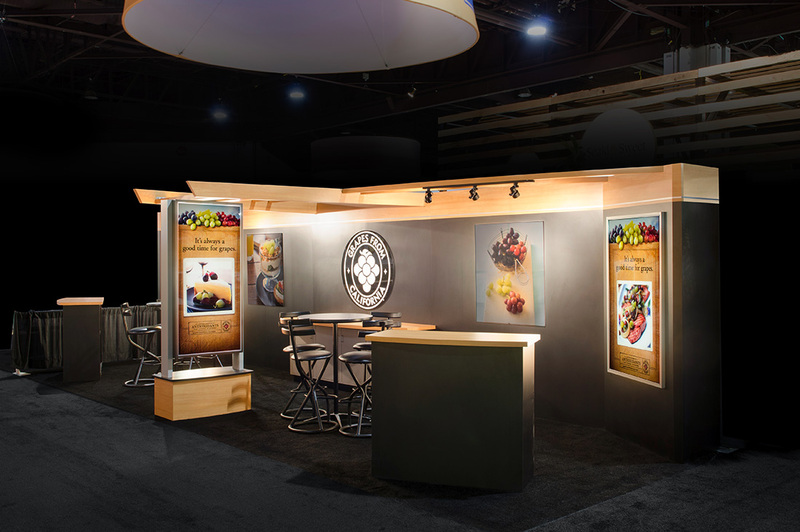 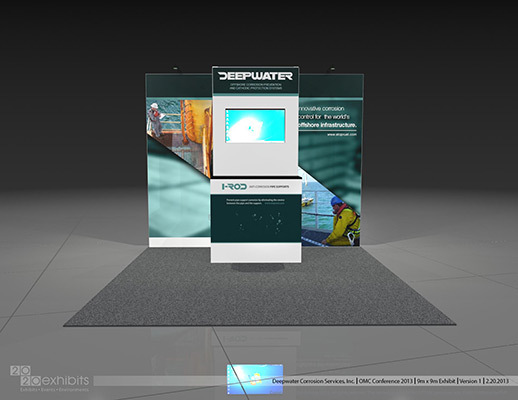 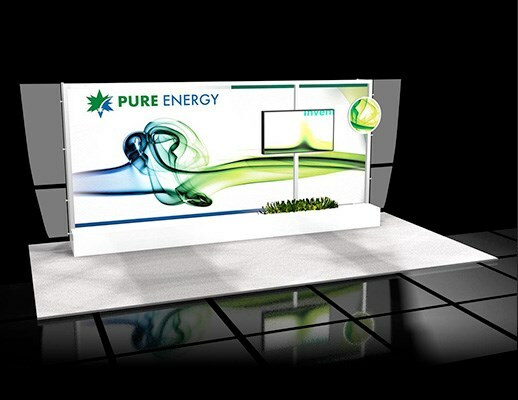 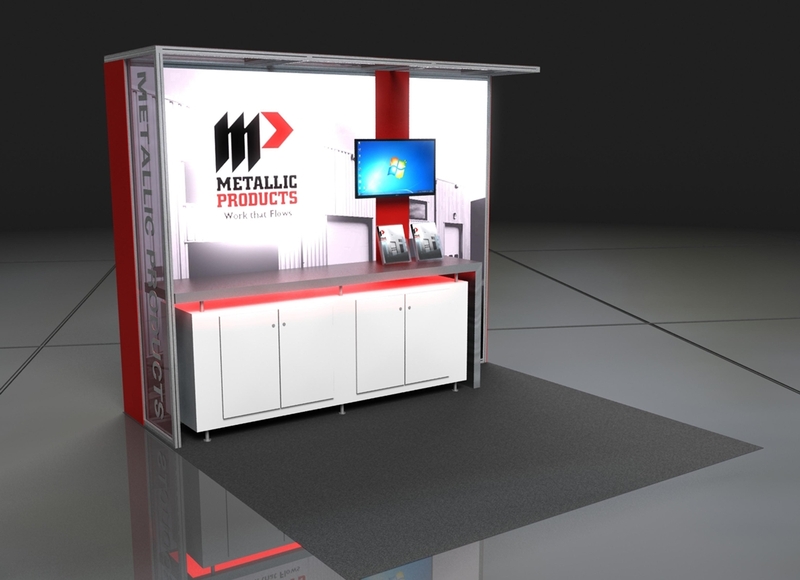 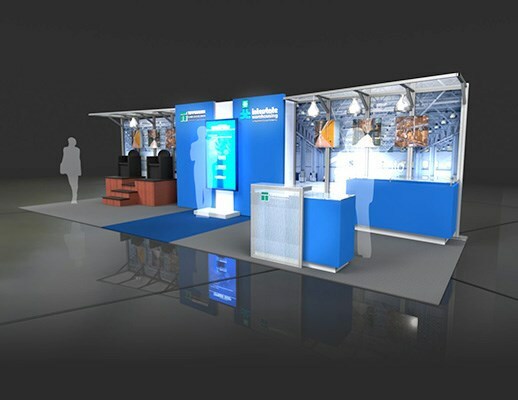 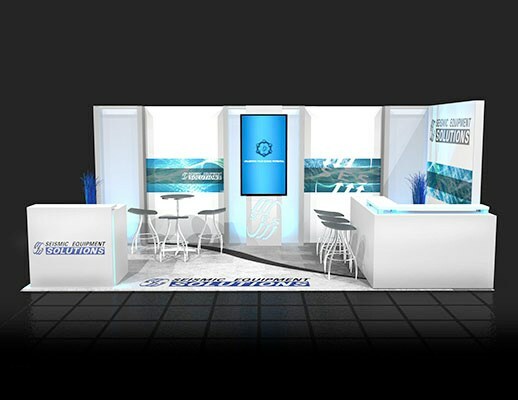 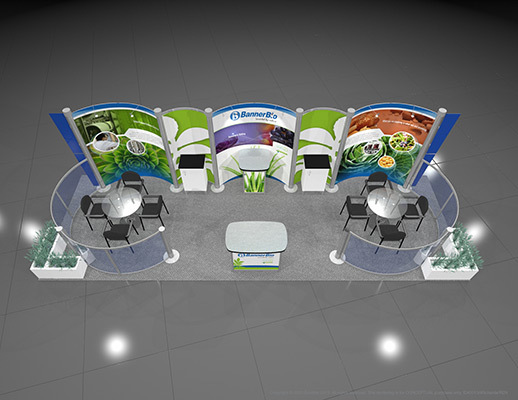 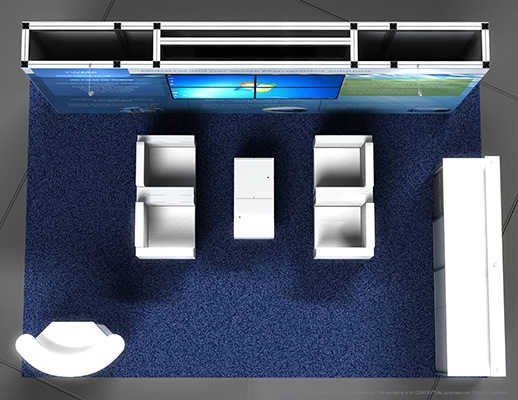 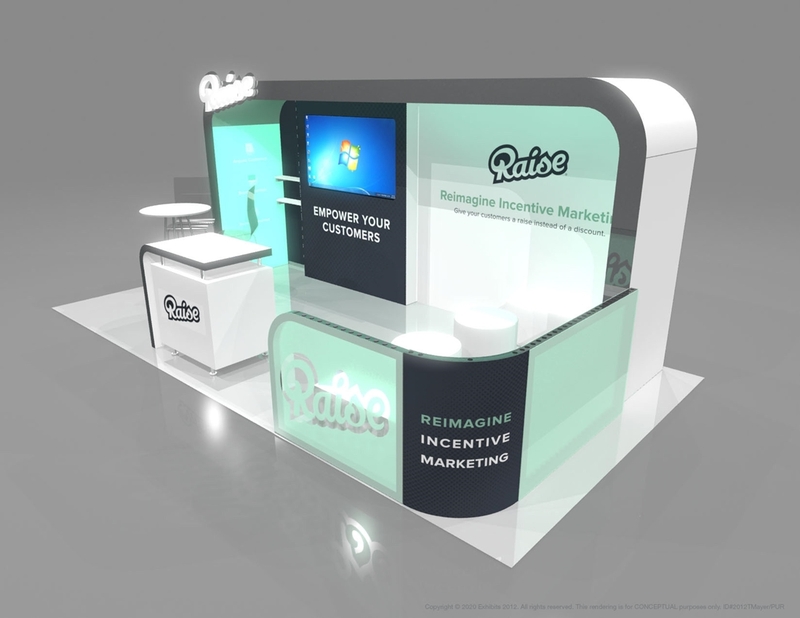 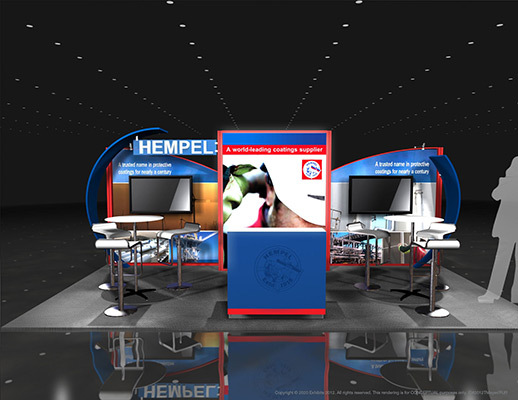 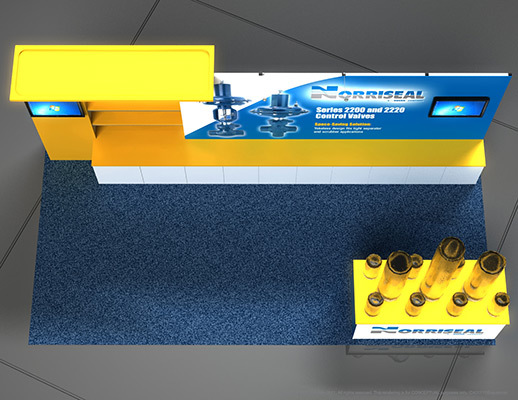 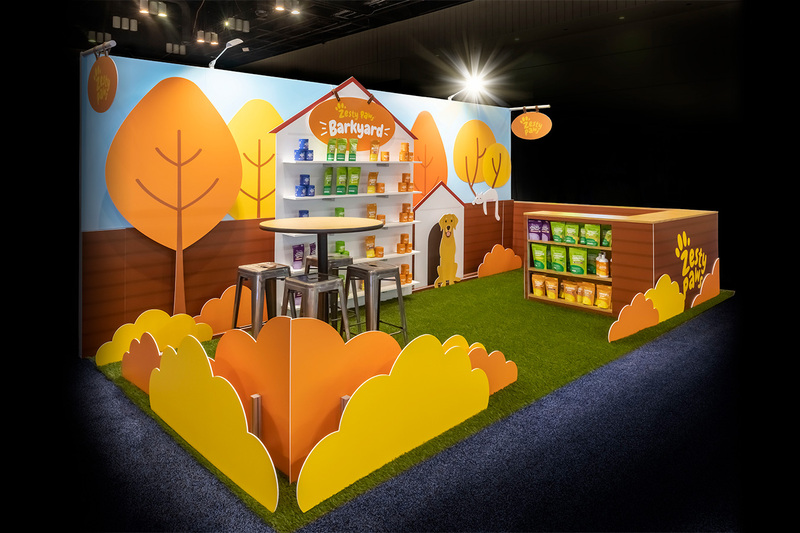 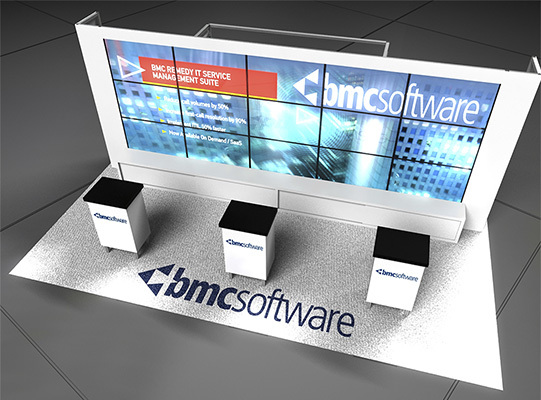 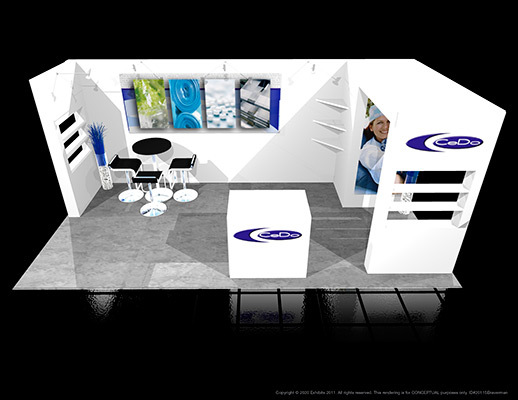 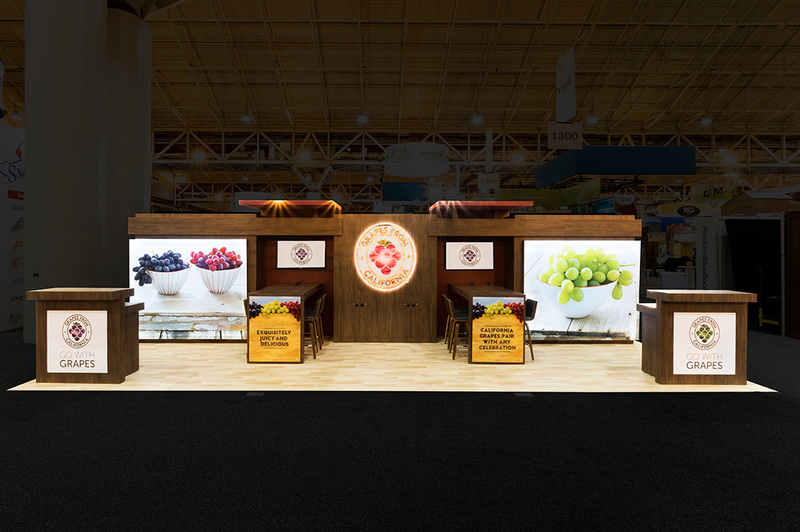 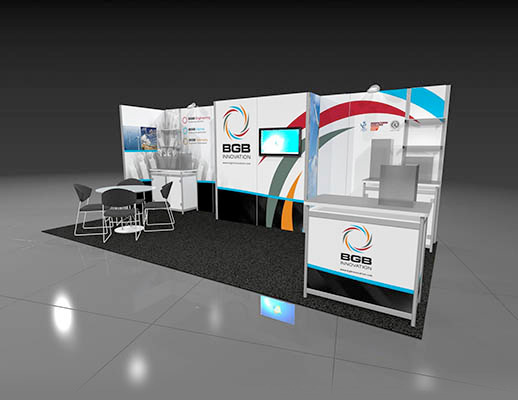 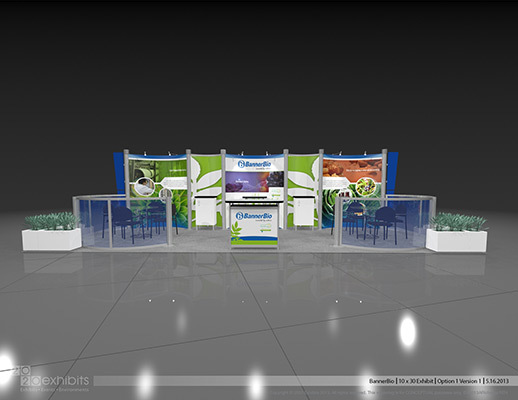 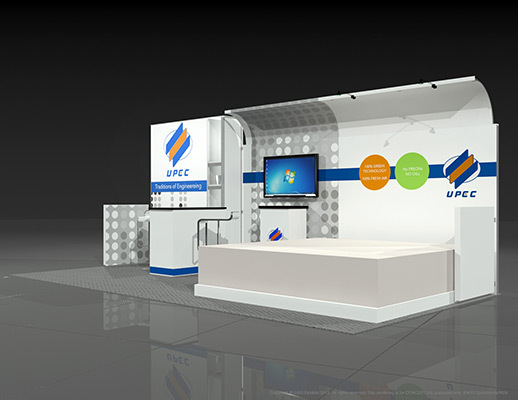 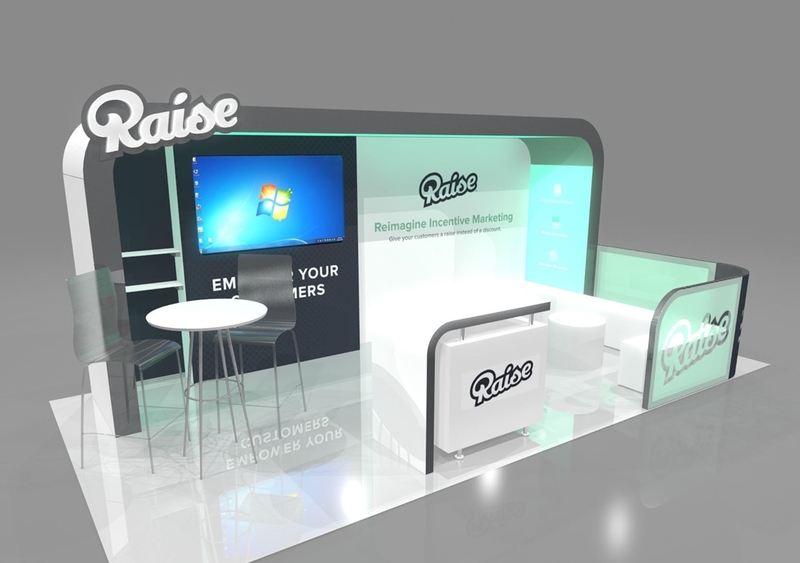 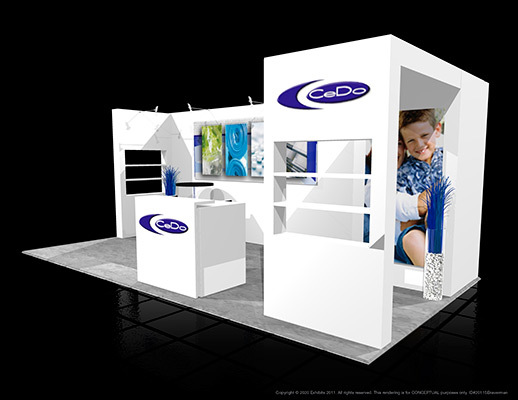 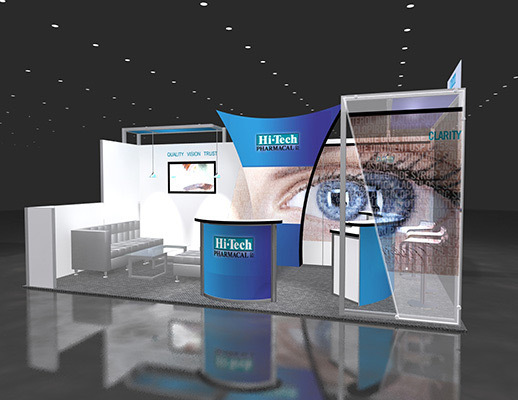 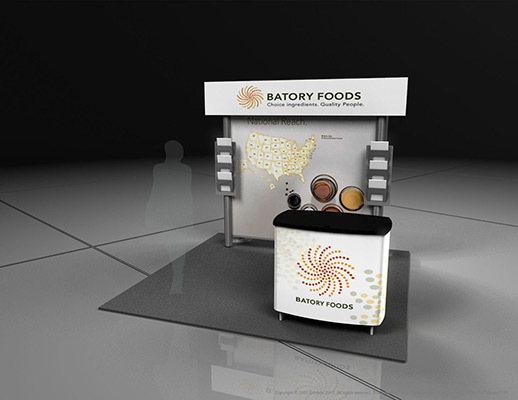 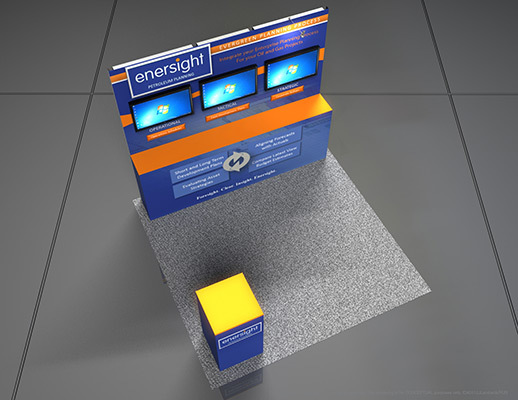 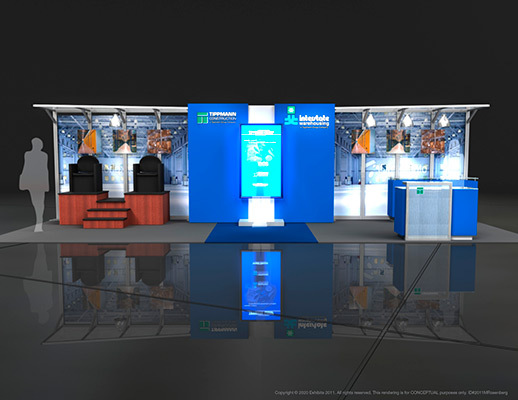 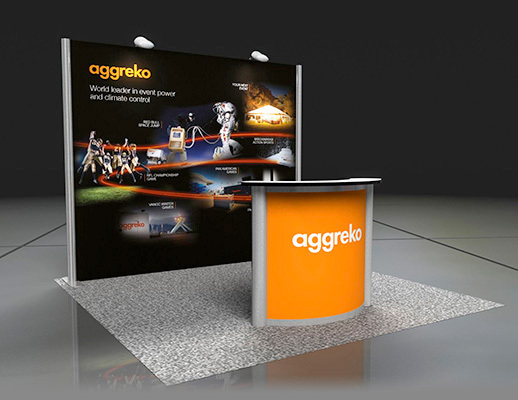 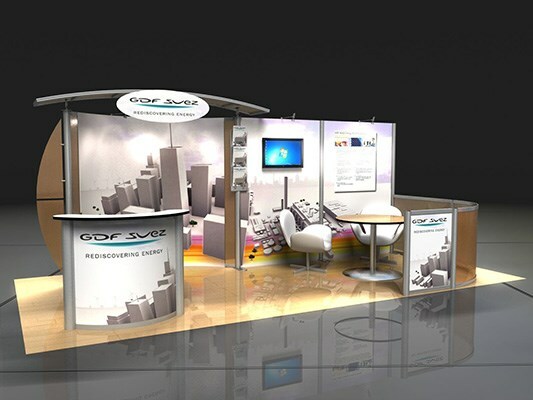 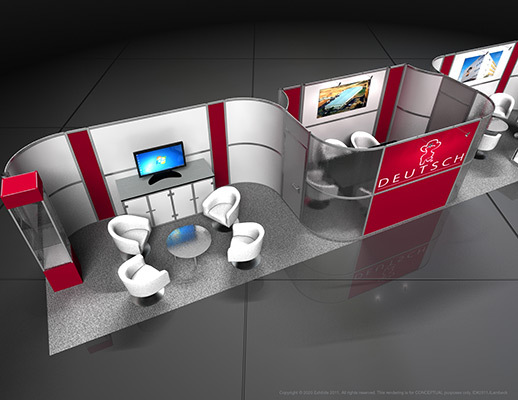 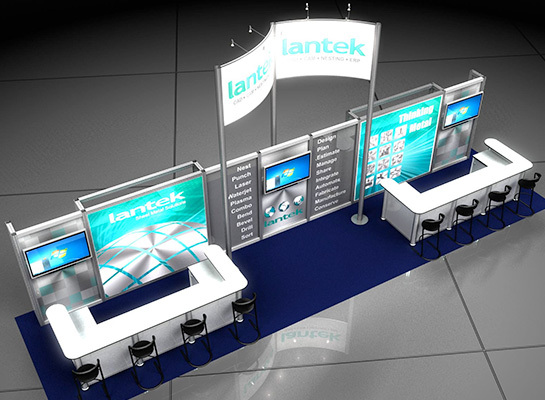 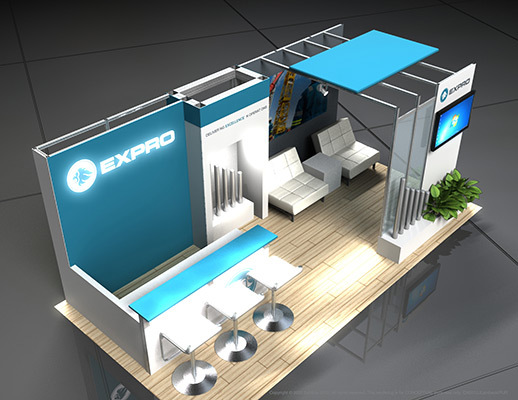 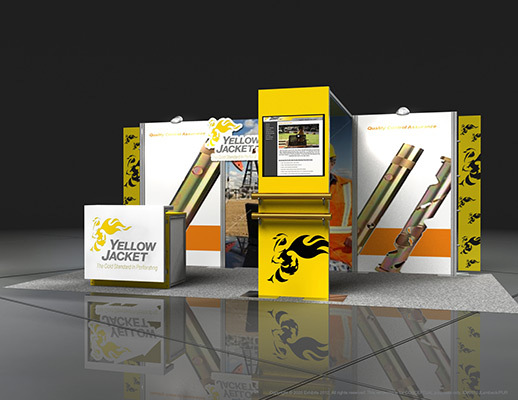 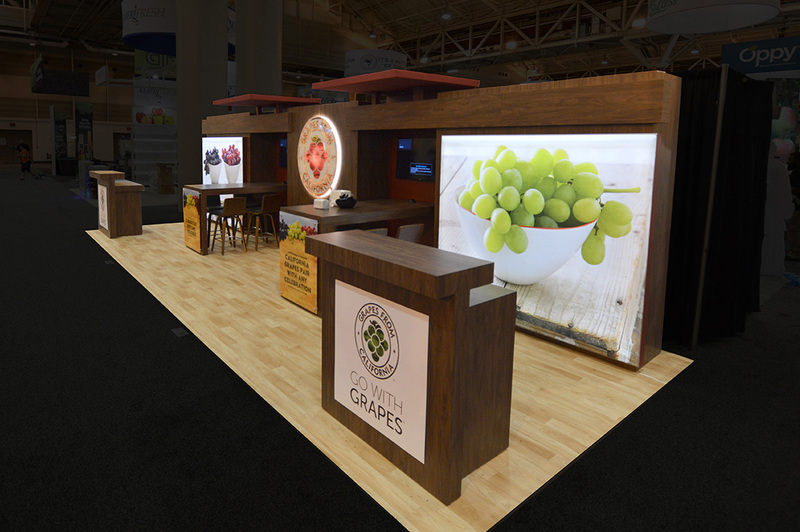 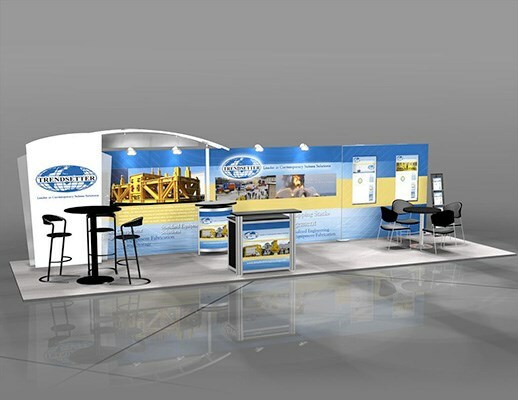 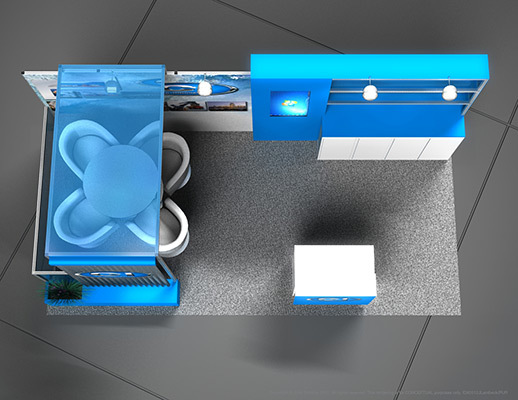 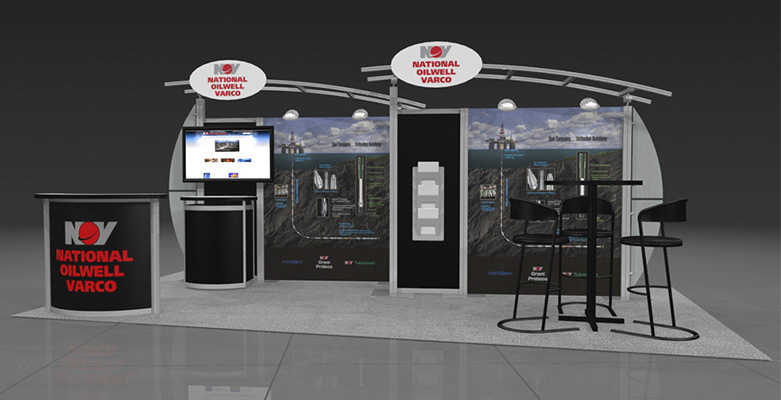 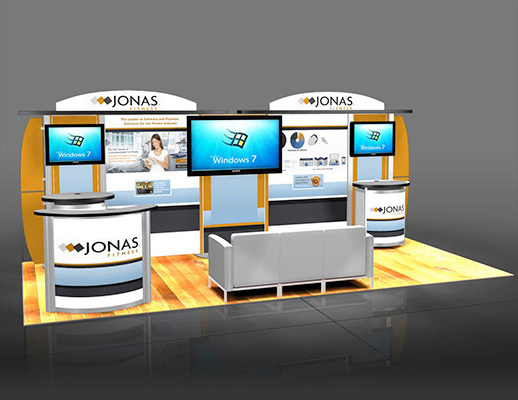 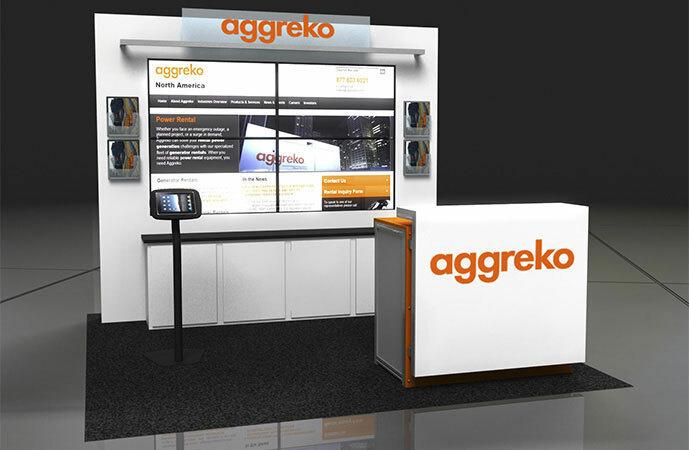 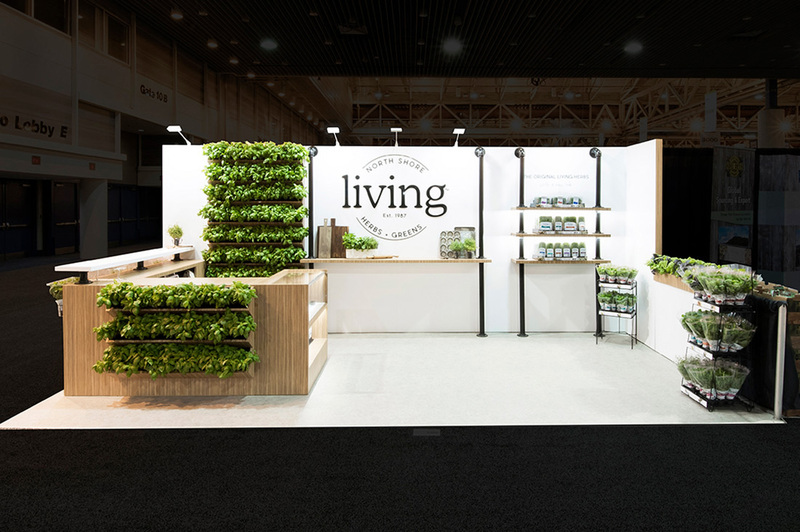 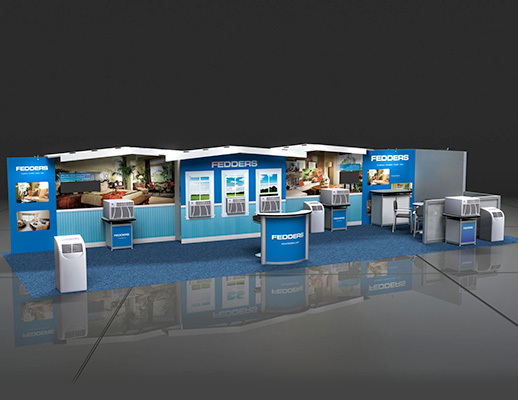 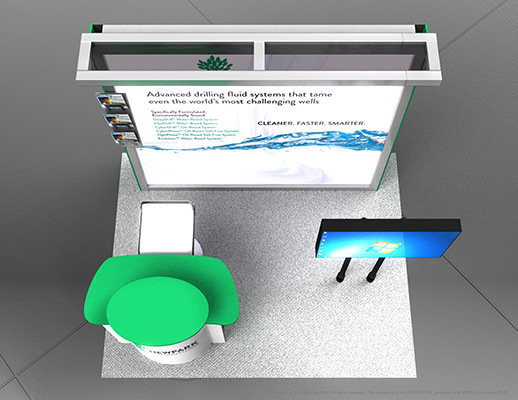 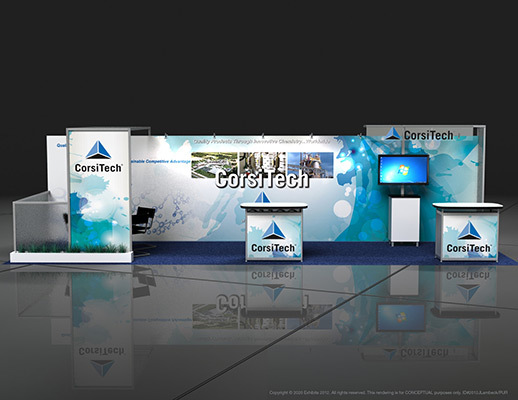 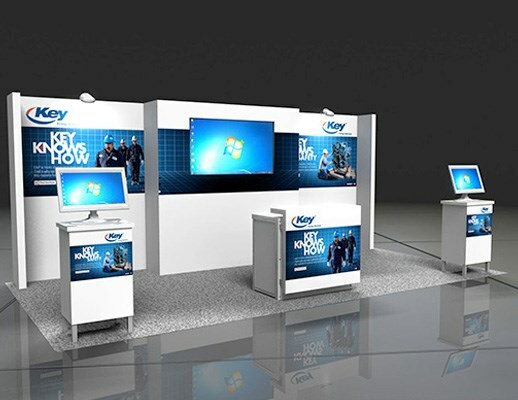 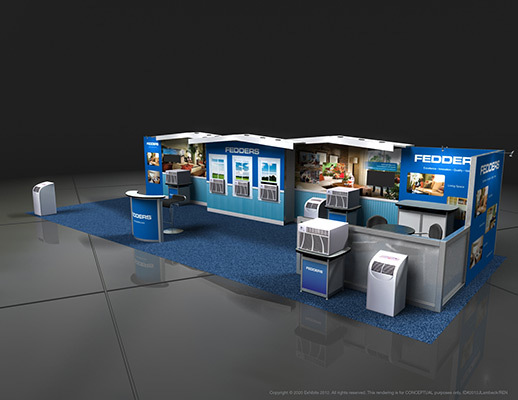 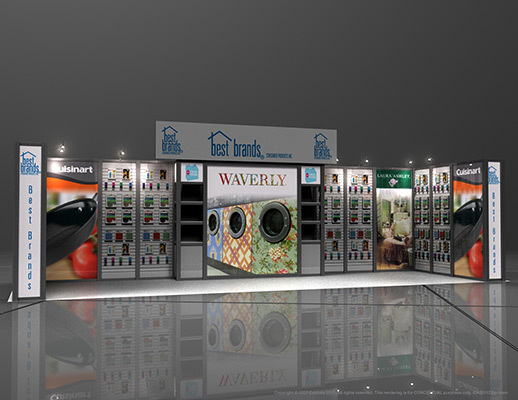 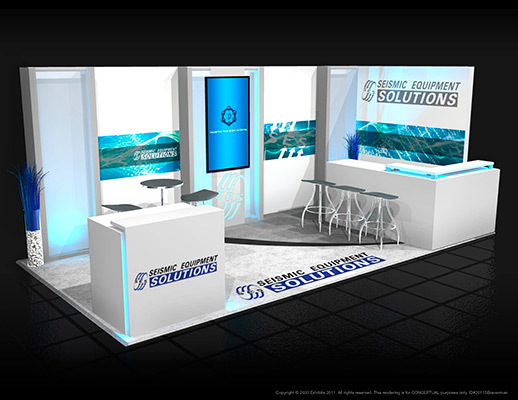 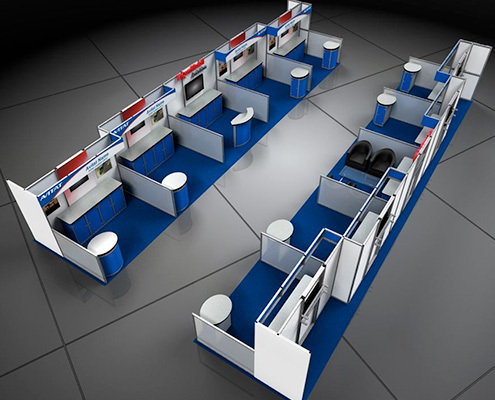 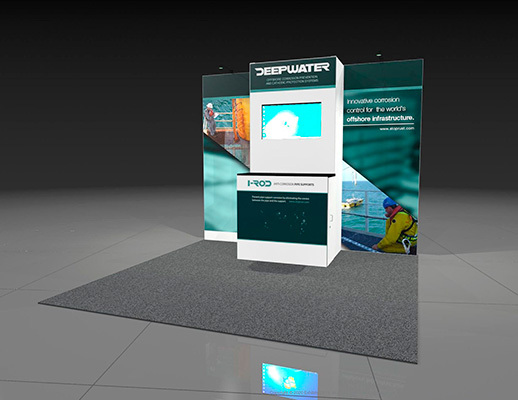 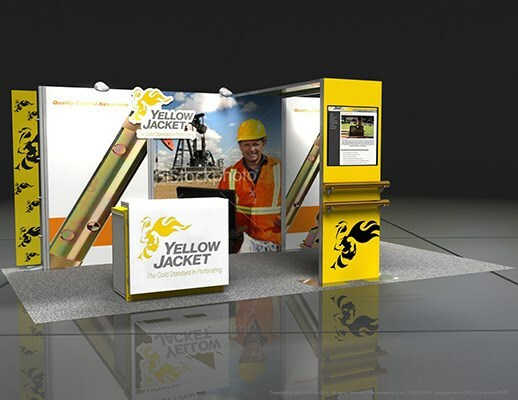 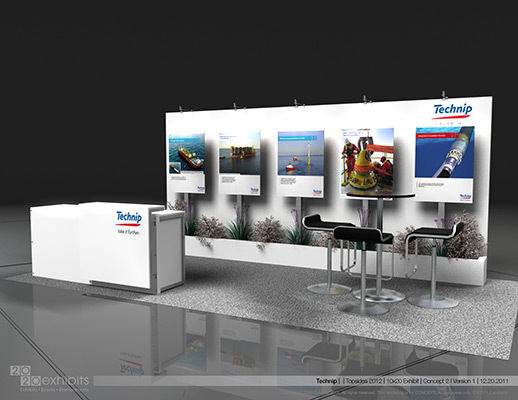 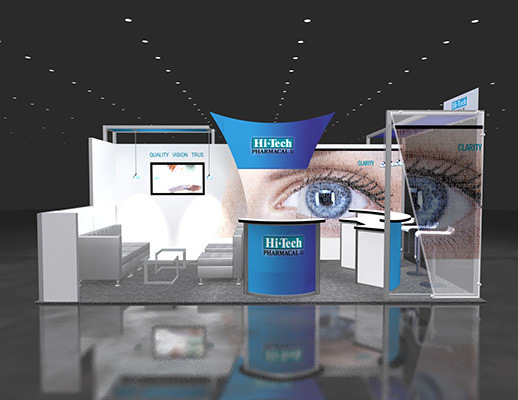 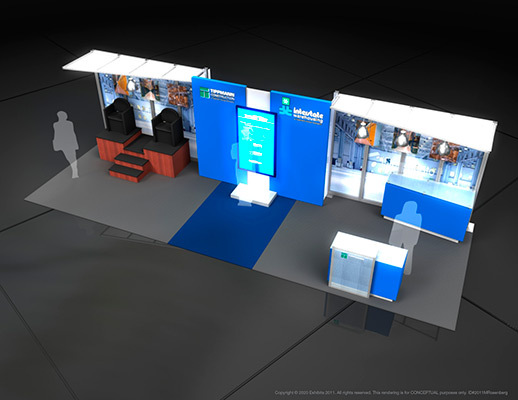 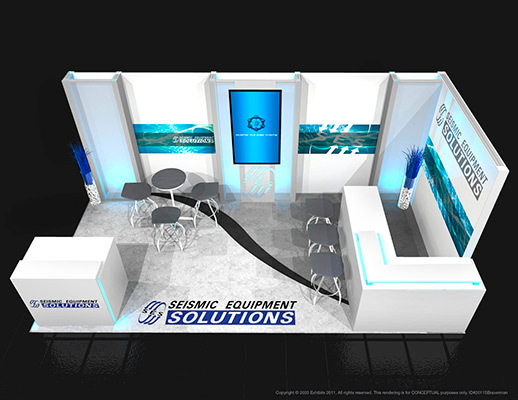 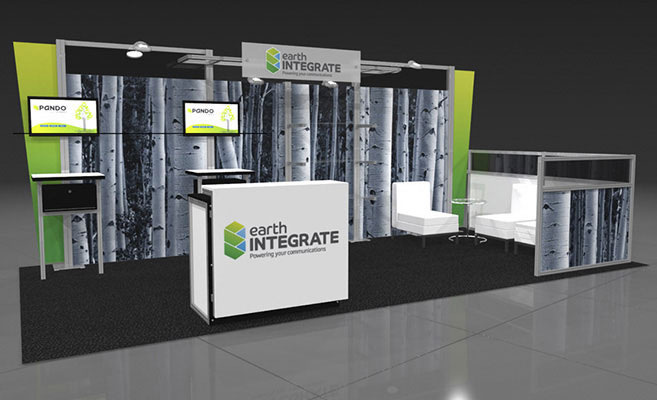 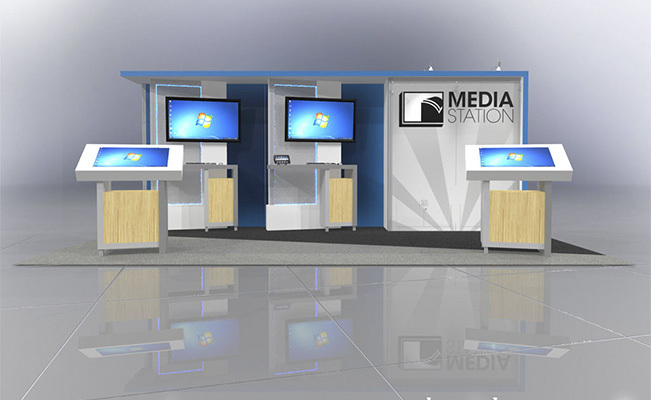 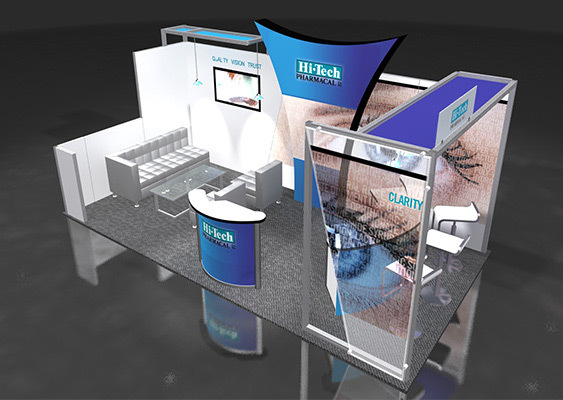 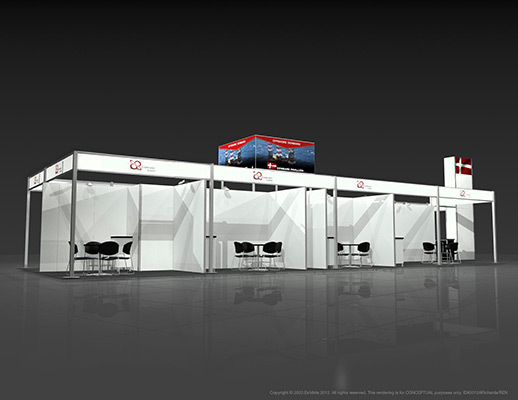 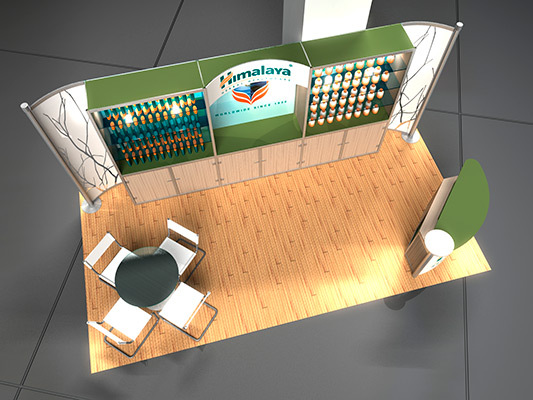 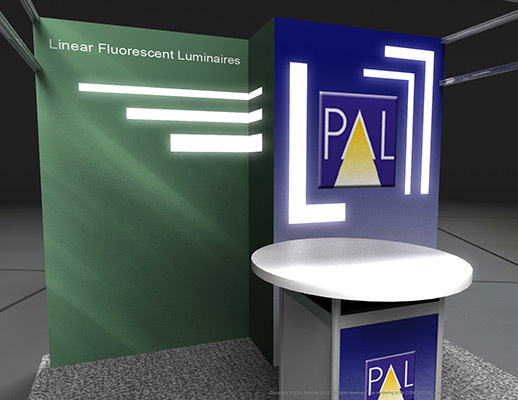 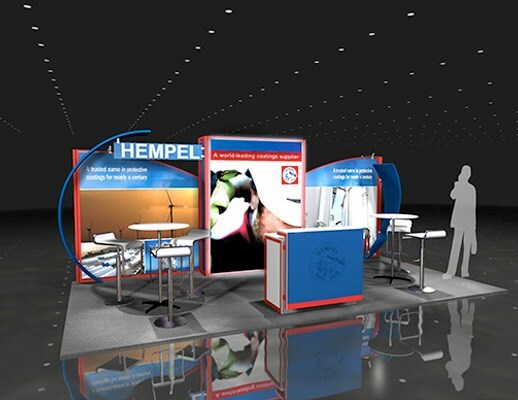 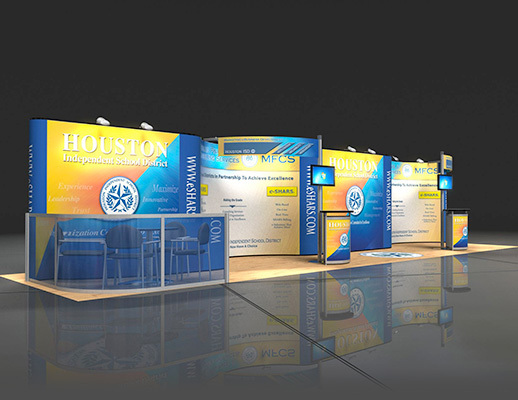 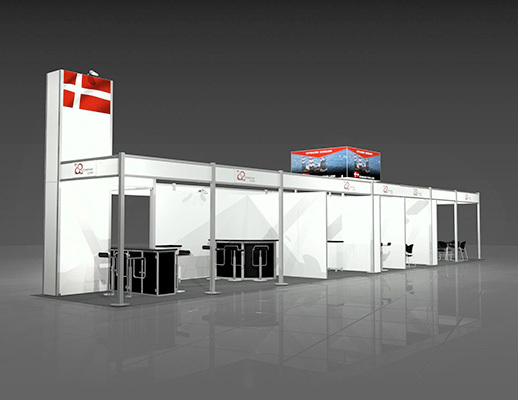 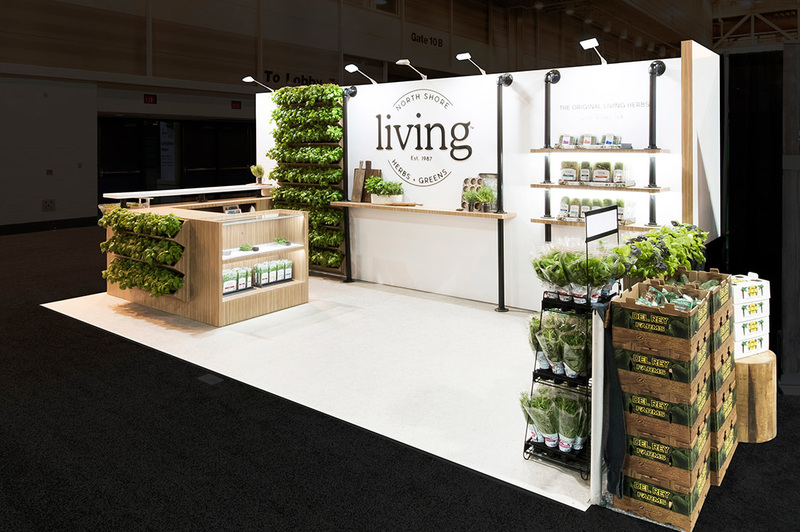 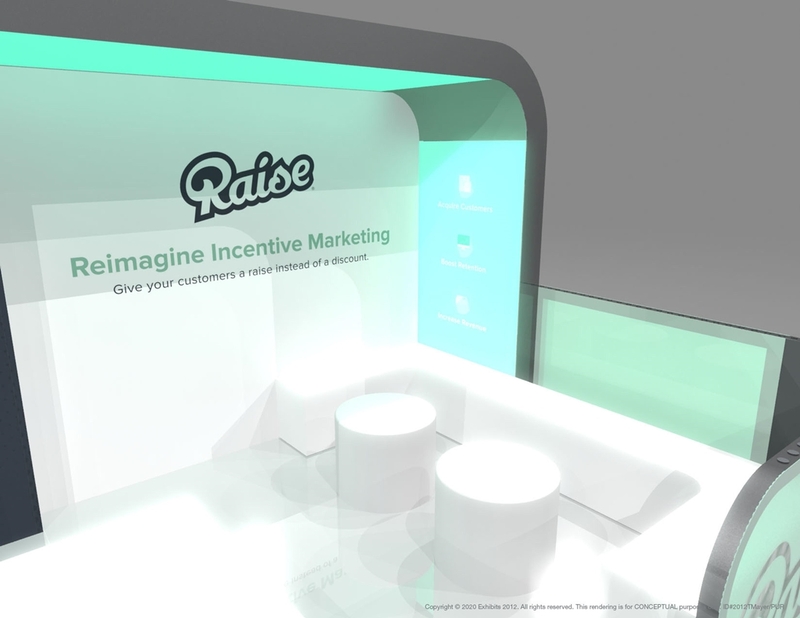 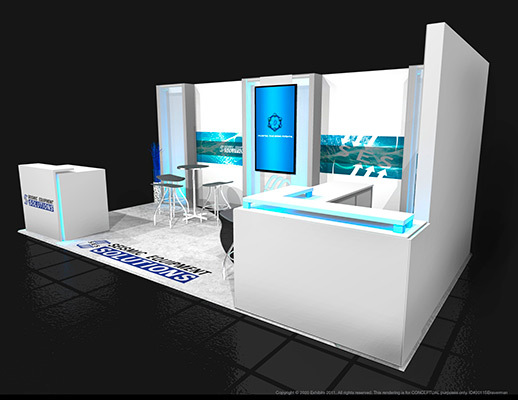 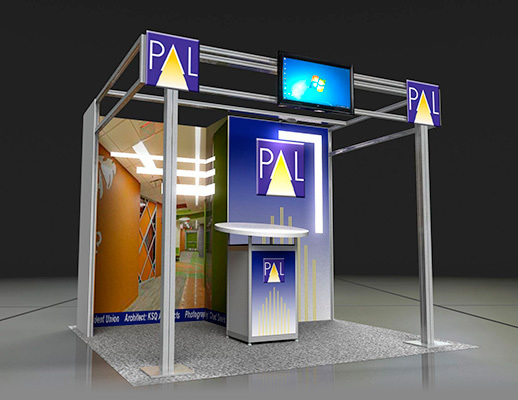 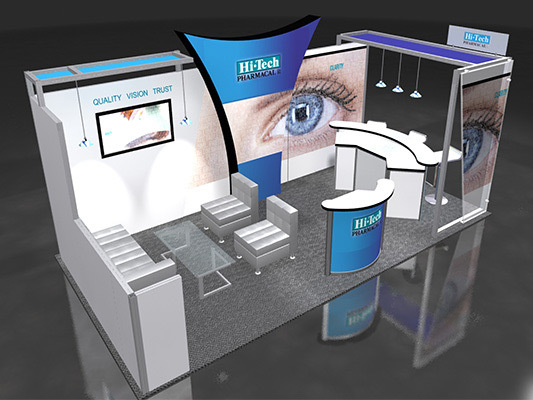 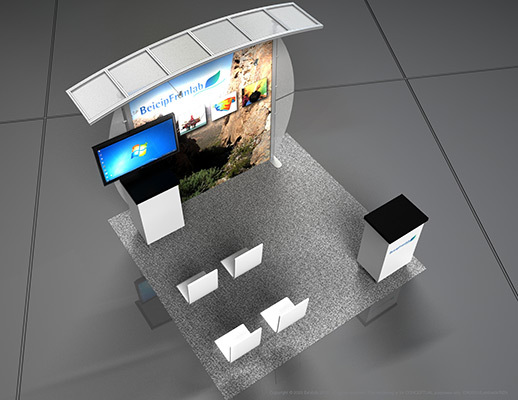 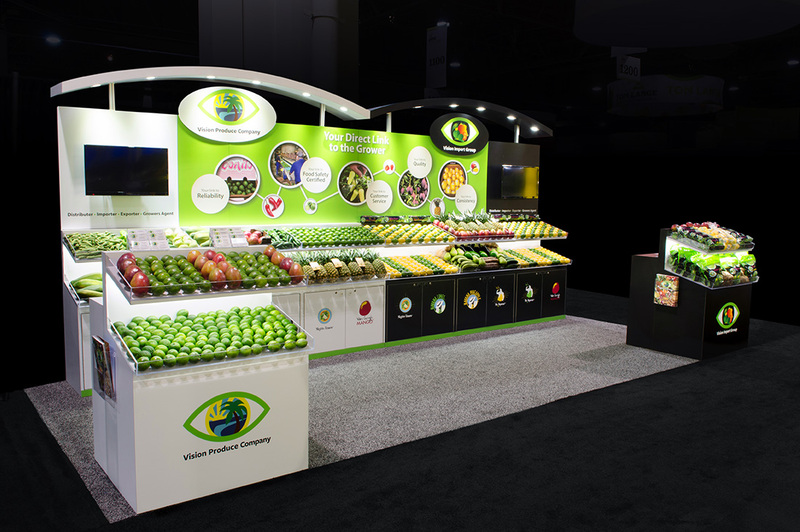 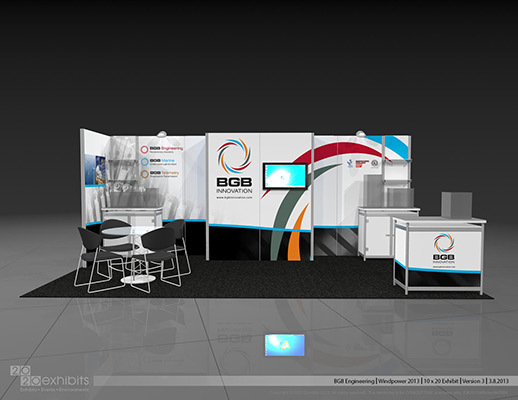 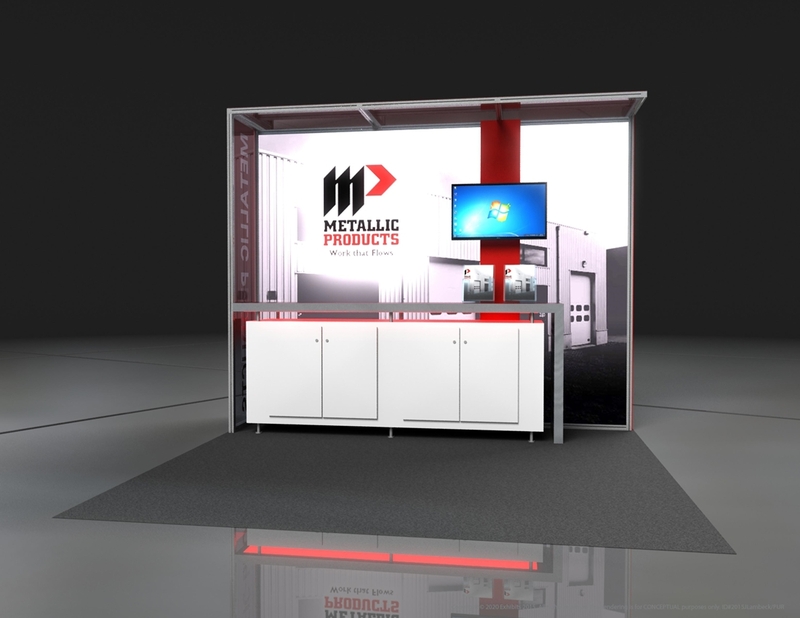 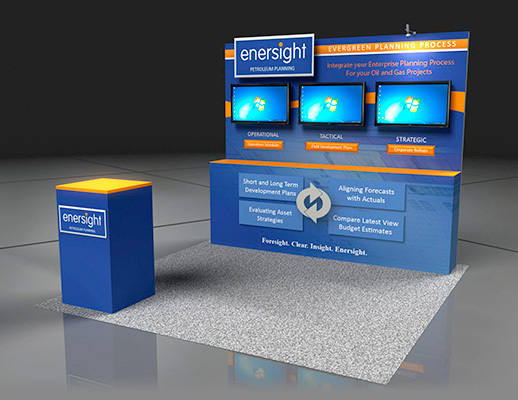 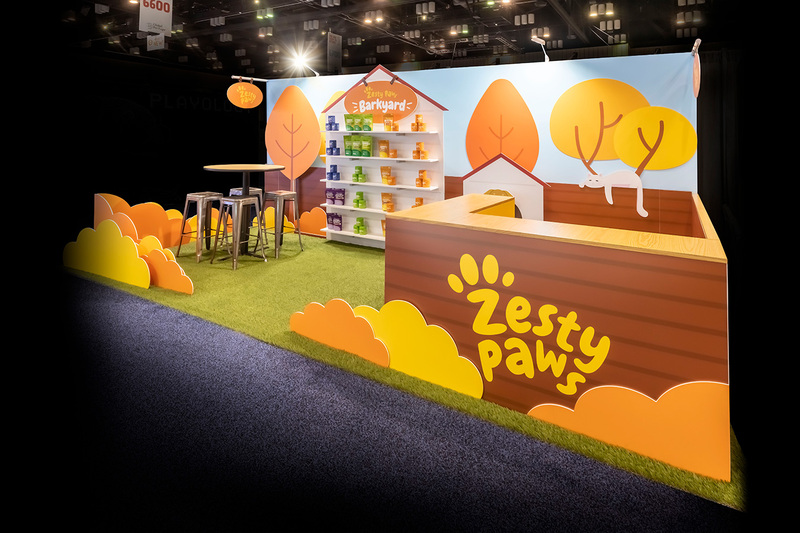 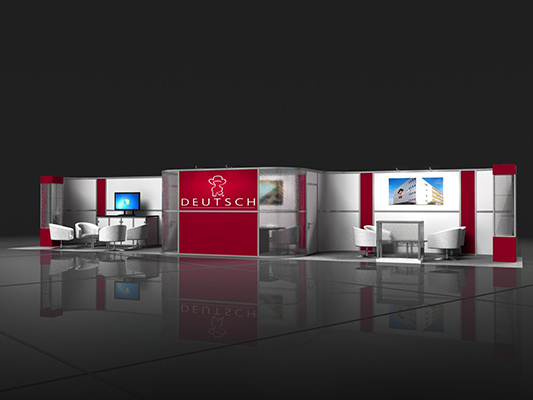 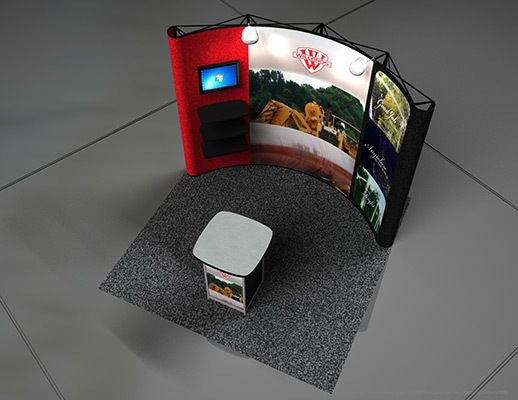 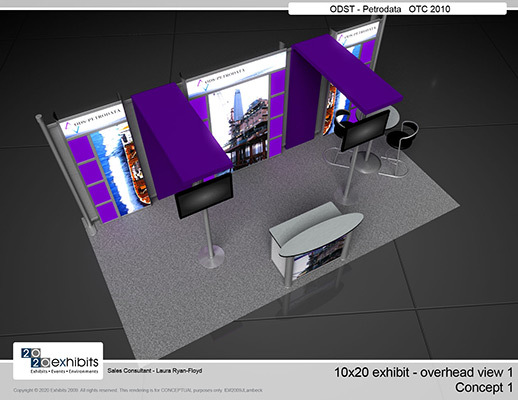 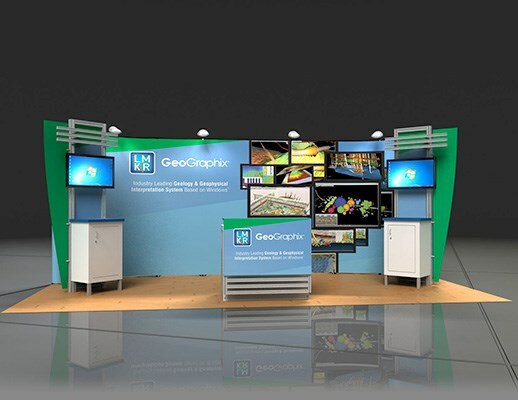 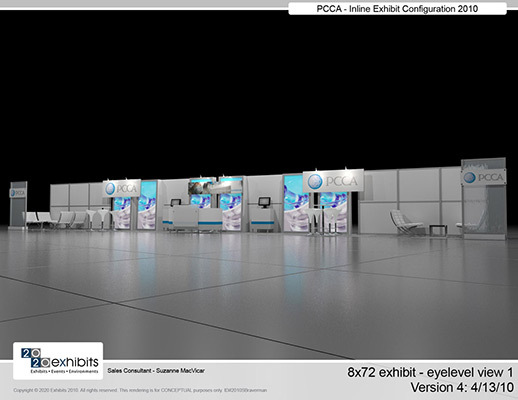 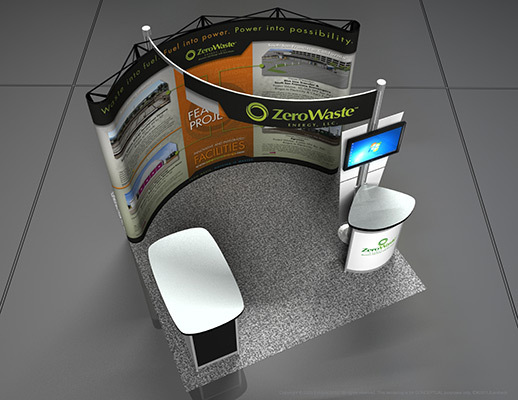 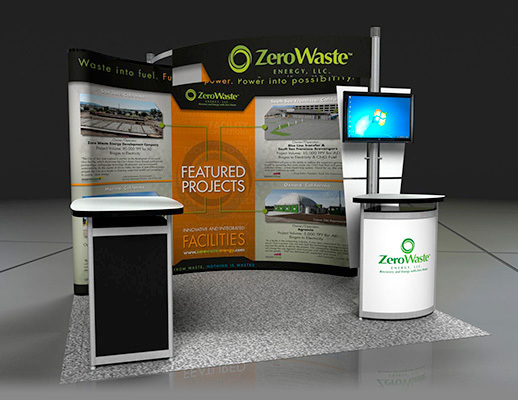 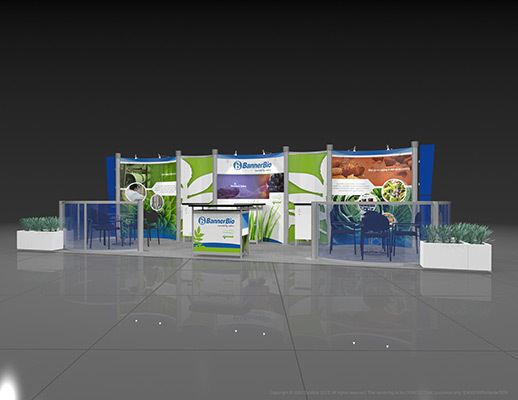 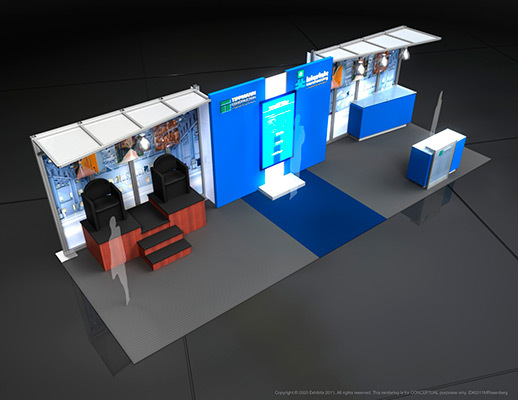 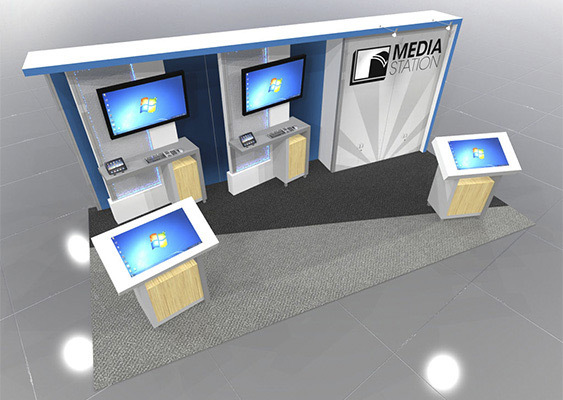 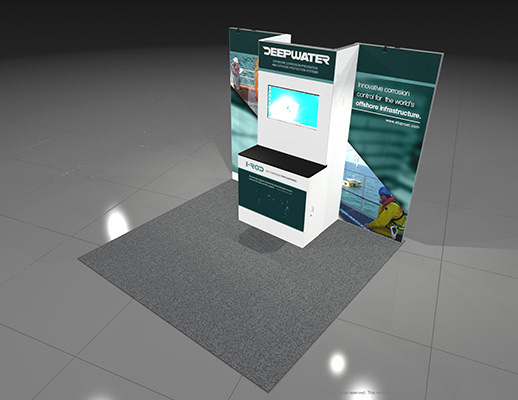 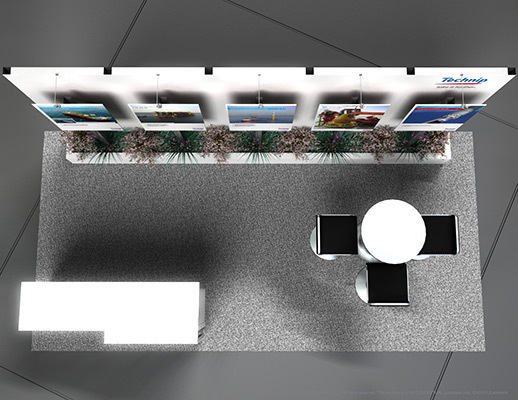 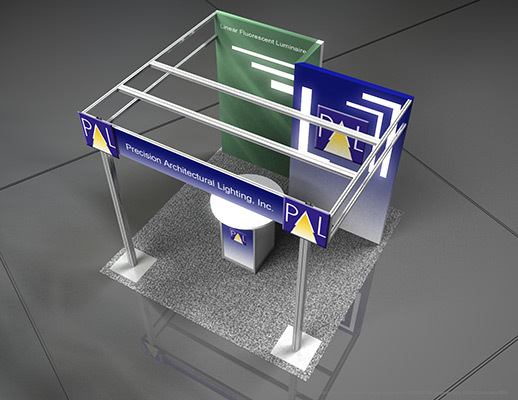 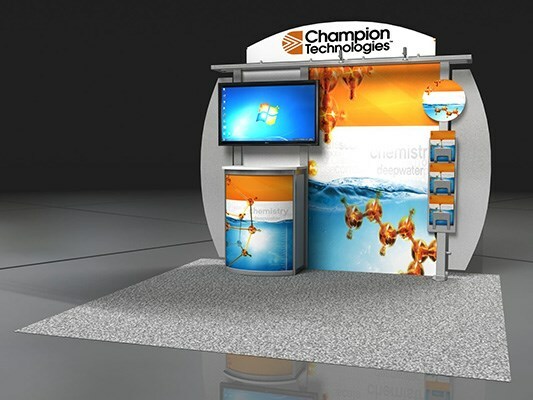 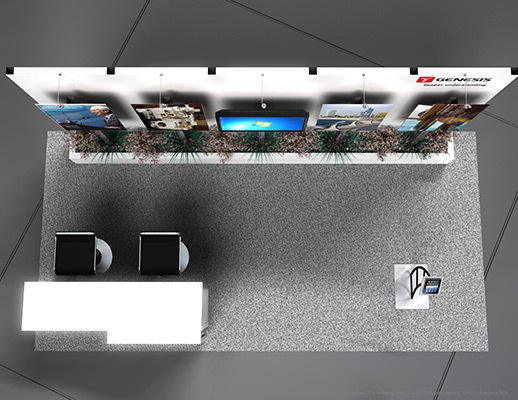 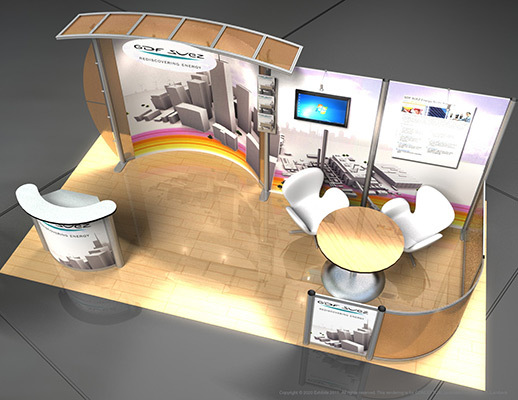 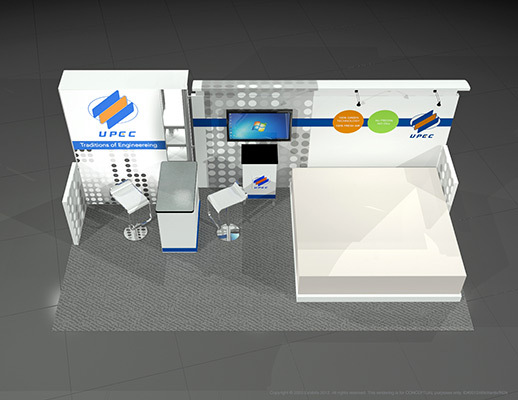 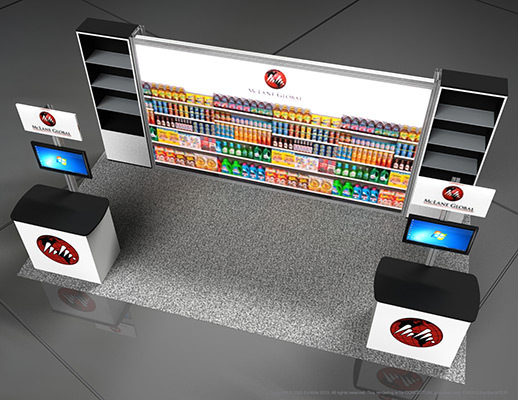 Artistic and modern graphics, this booth allows for creative ways to display their videos and literature. 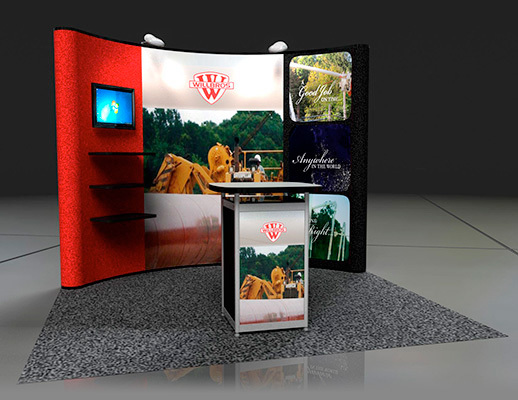 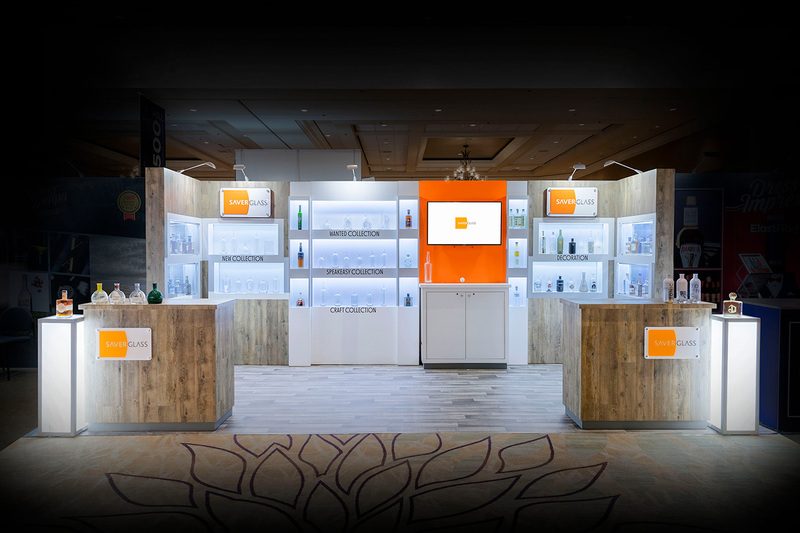 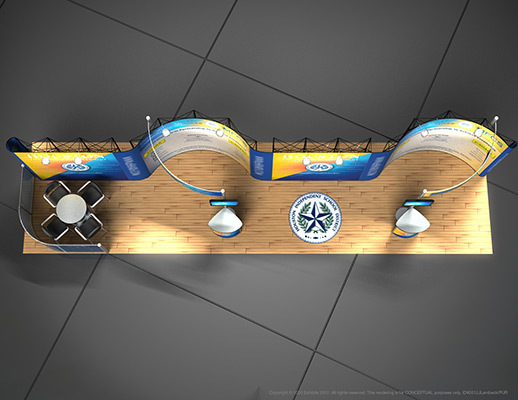 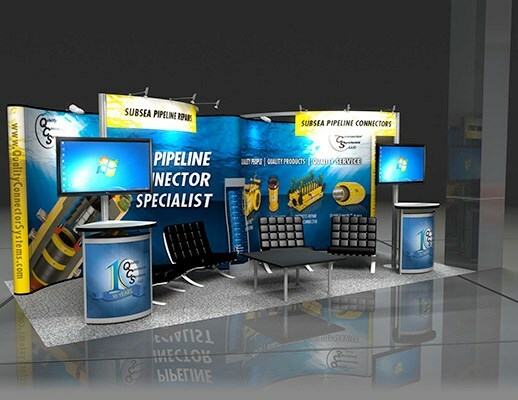 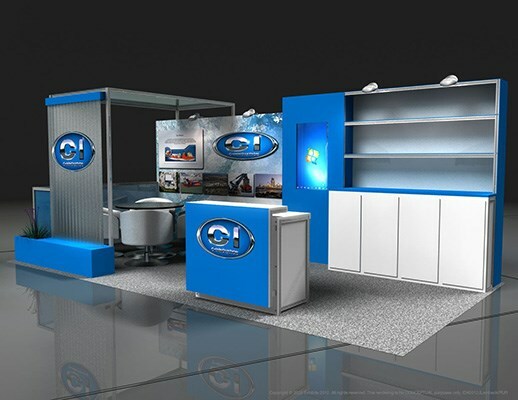 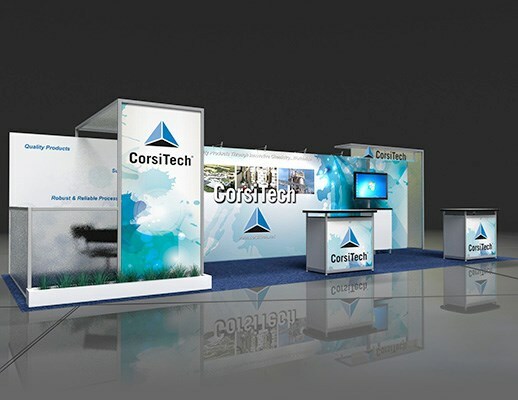 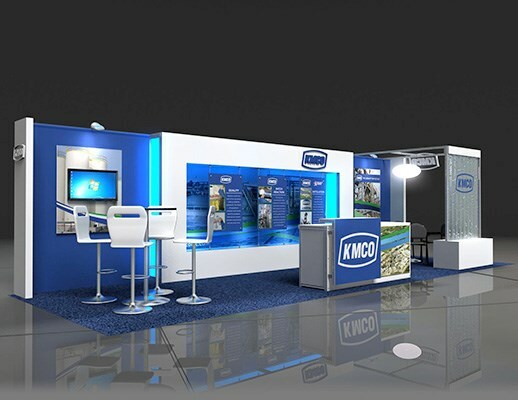 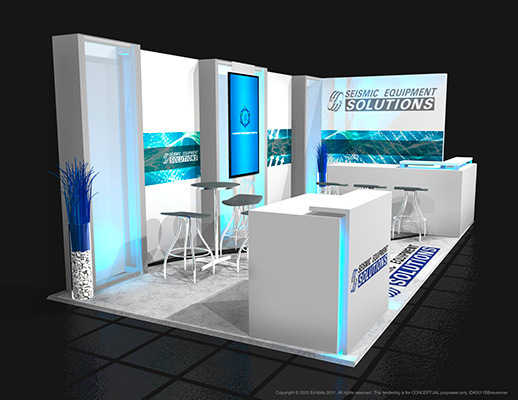 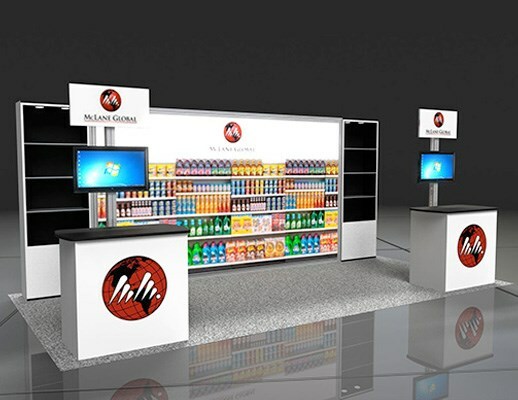 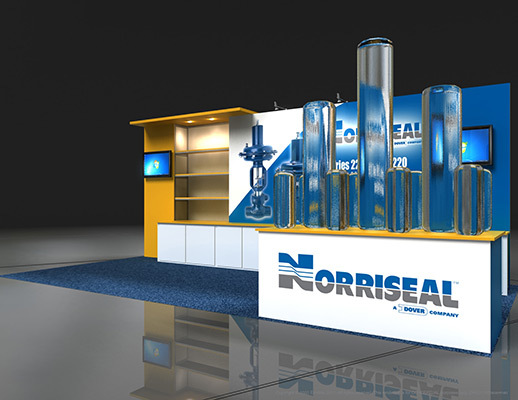 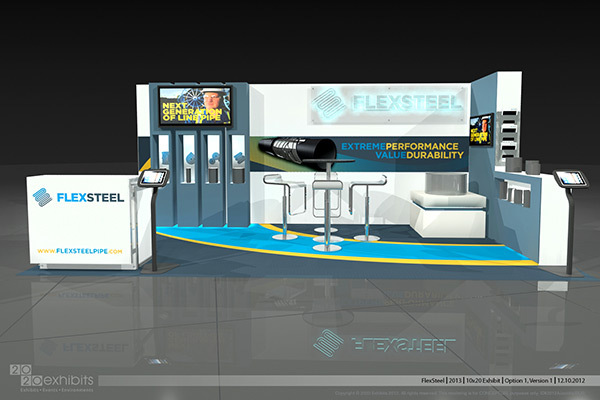 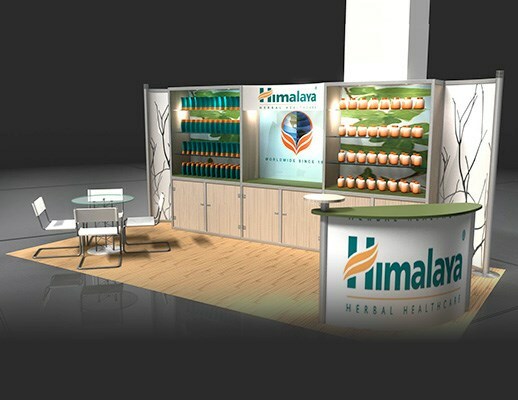 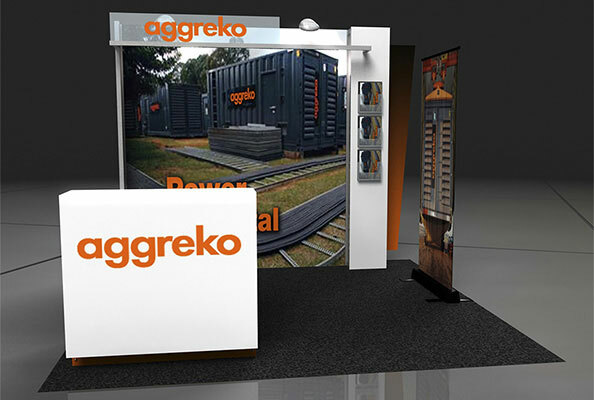 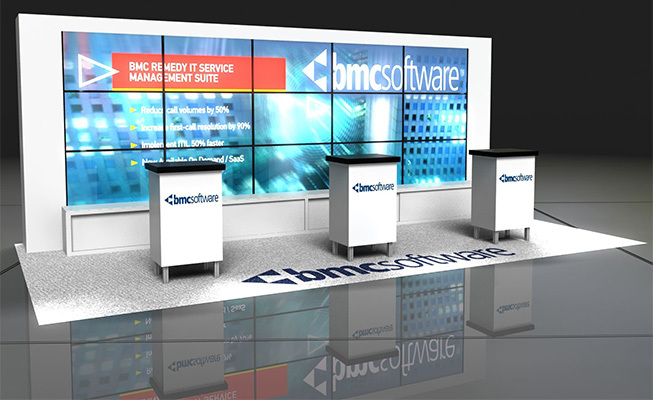 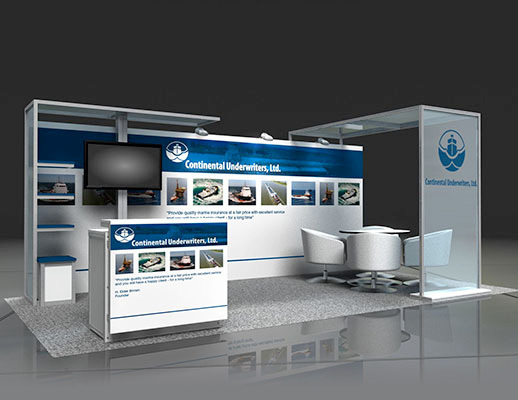 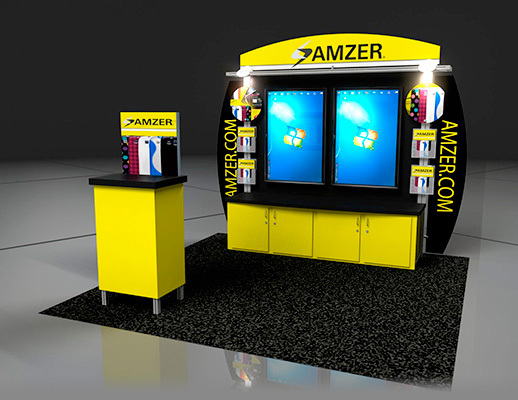 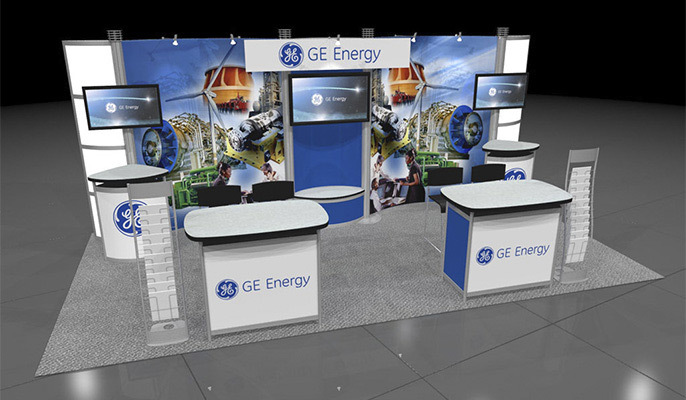 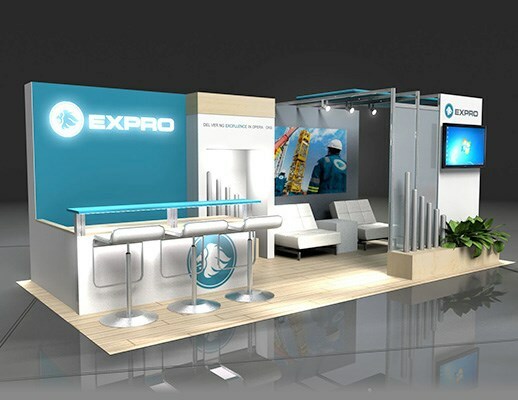 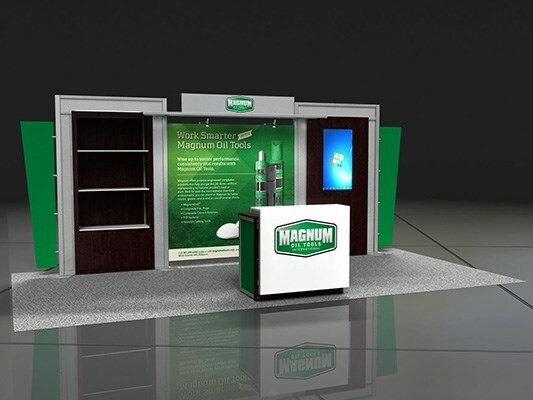 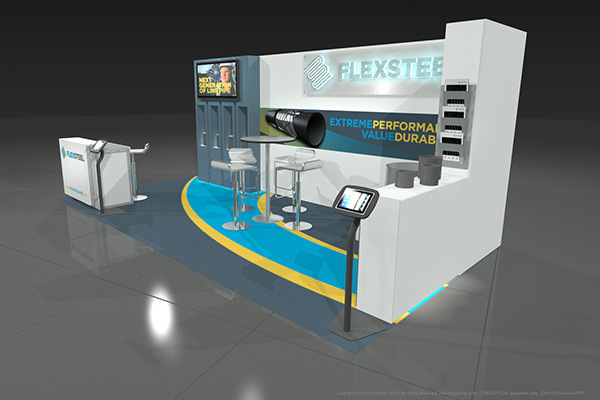 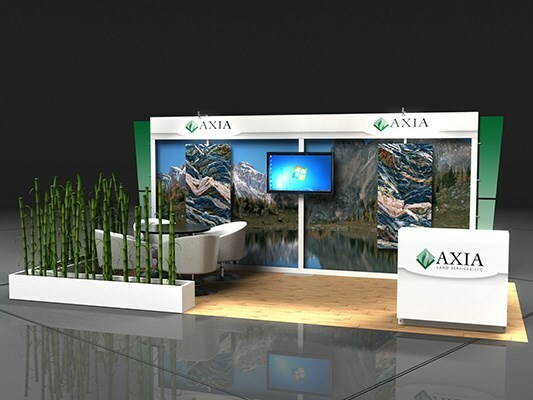 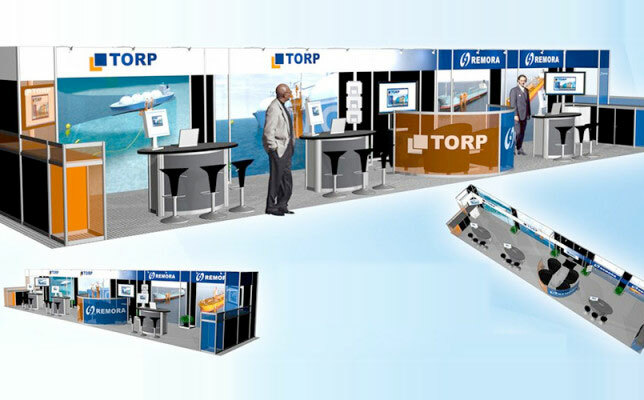 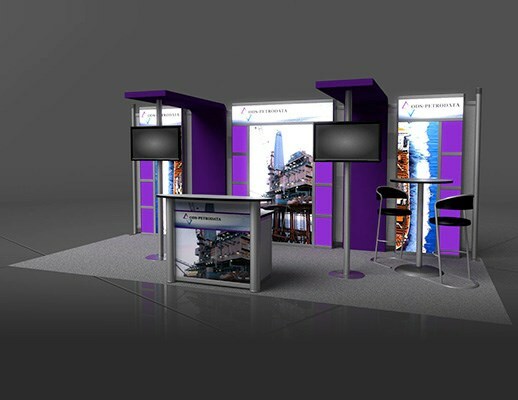 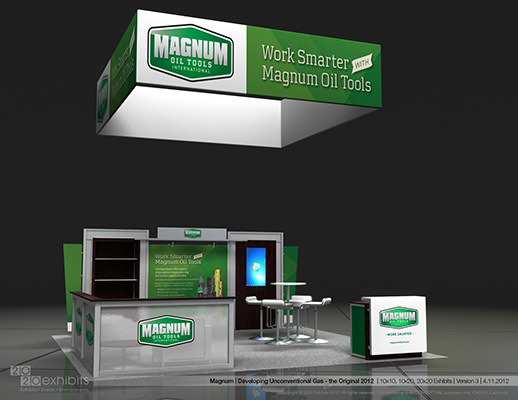 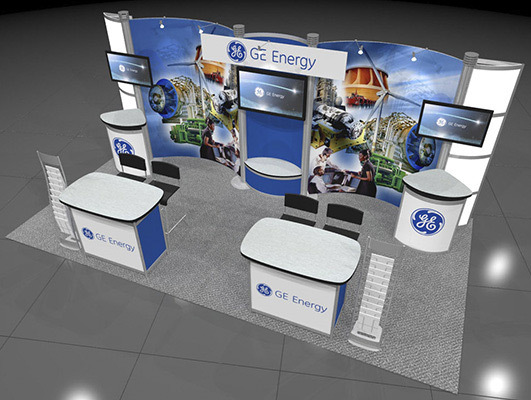 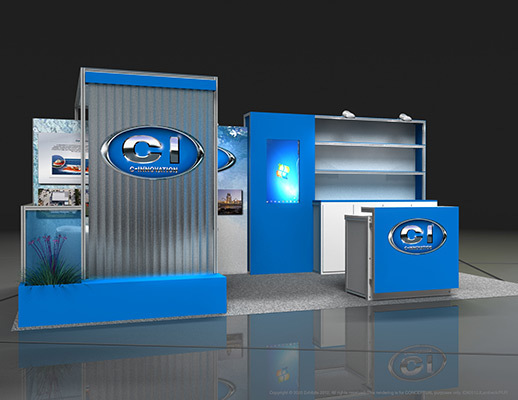 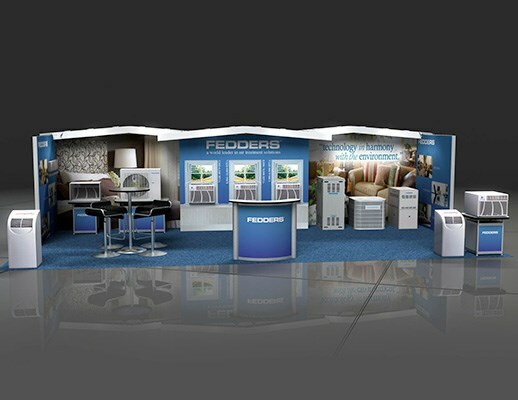 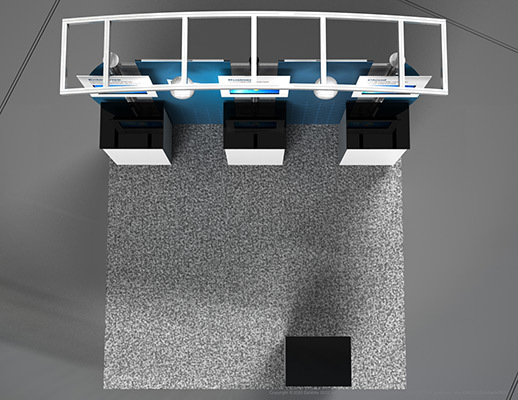 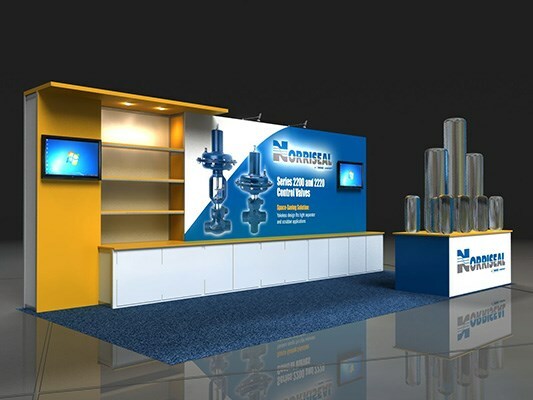 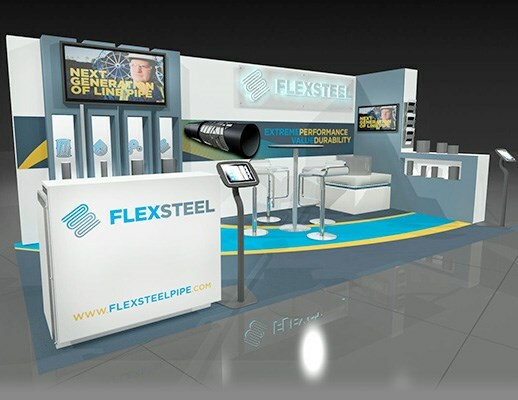 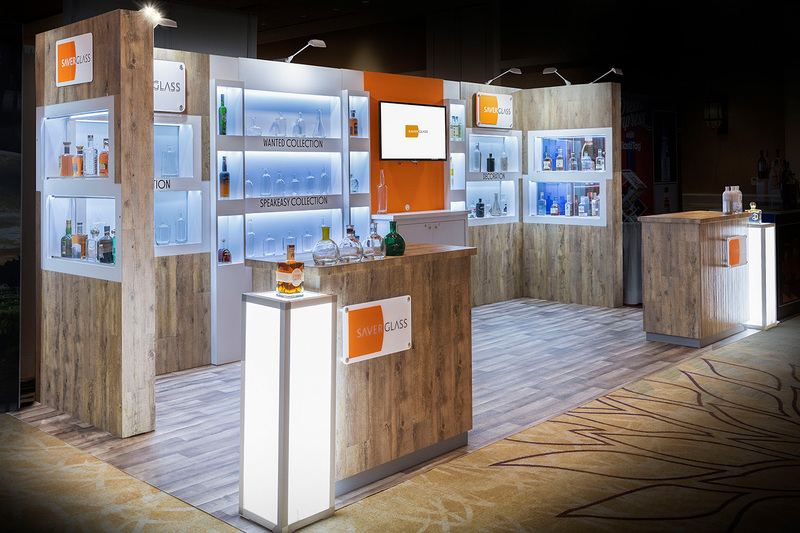 Features include: curved set pieces, prominent logo, colorful graphic backwall, video monitor, video station, literature display, carpeted inlay and overhead lighting.